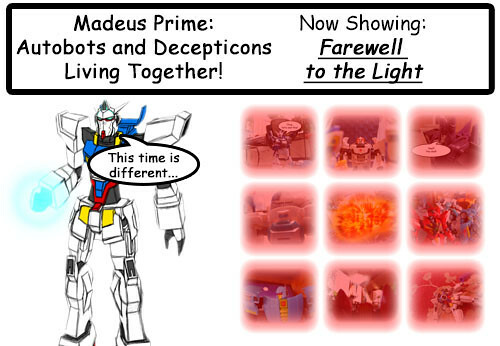 This is finally up to date, so I will be posting the comics daily from here on in, one at a time, twice a day regularly. 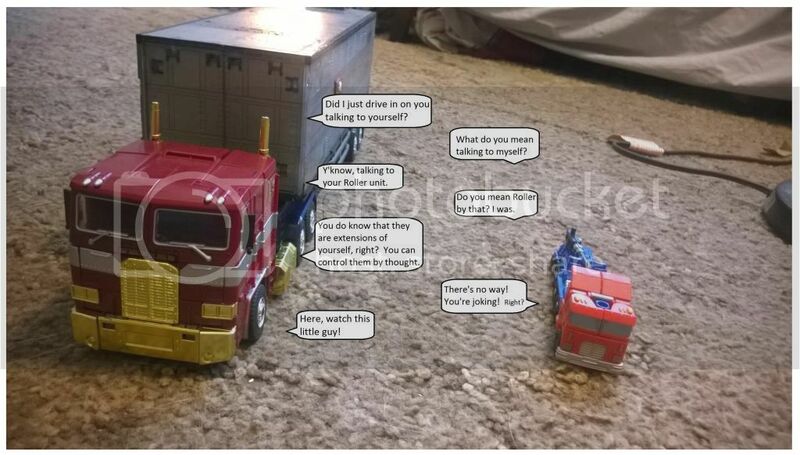 Feel free to leave a comment with some thoughts about this, things you like, things you don't like, y'know stuff like that, since I am new to this and still have a lot to learn. 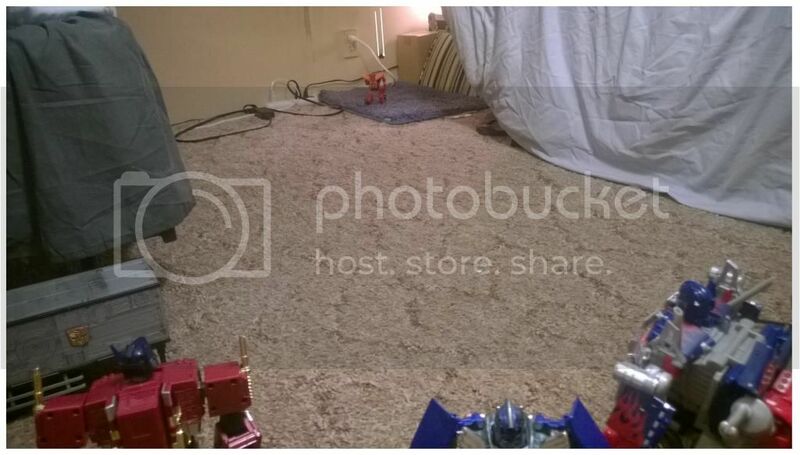 Thanks for taking a look guys! 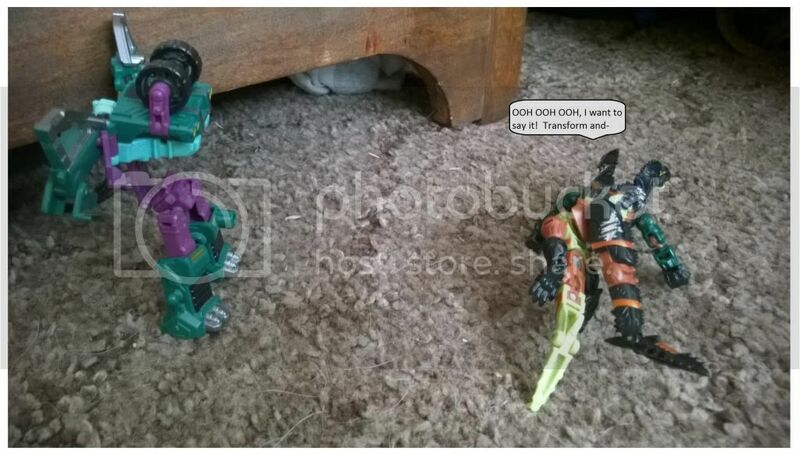 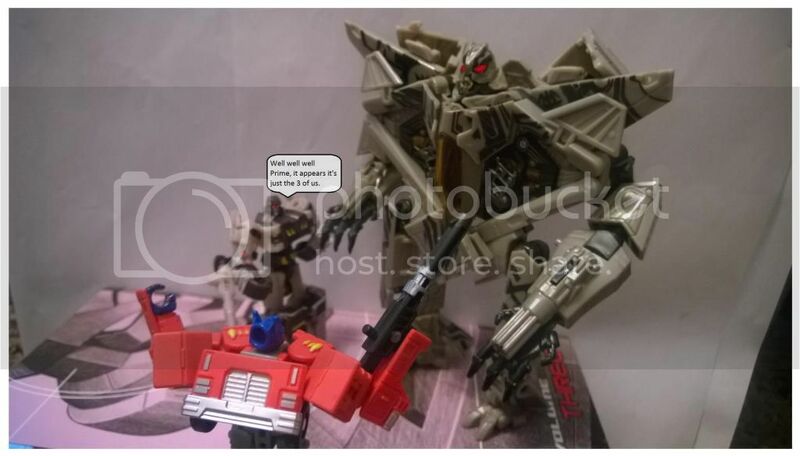 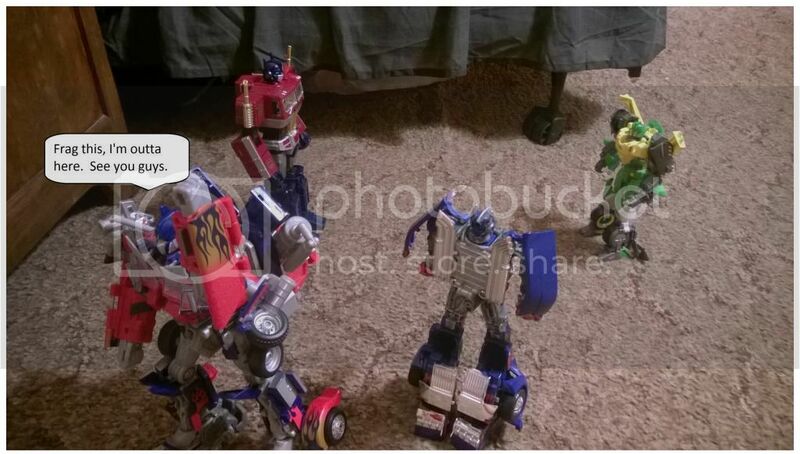 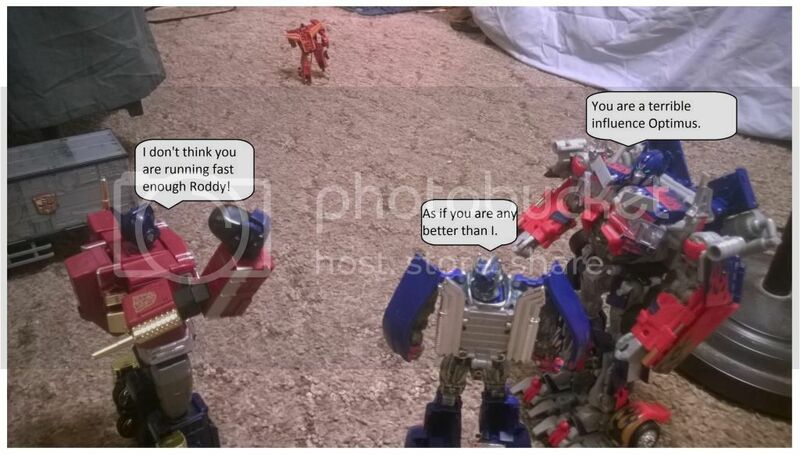 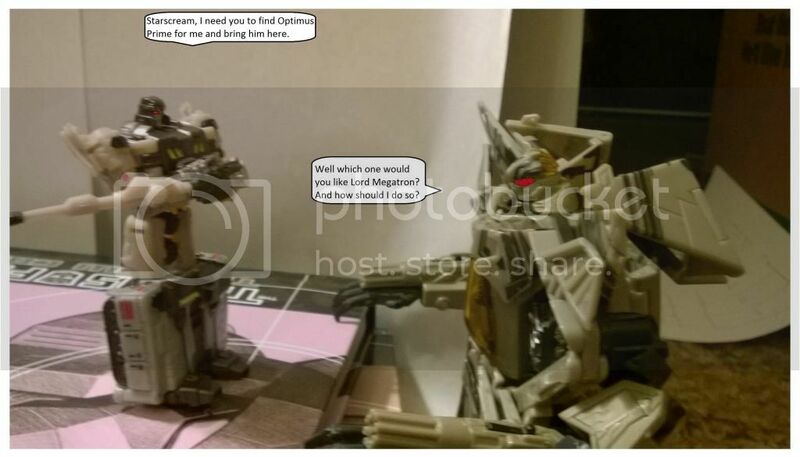 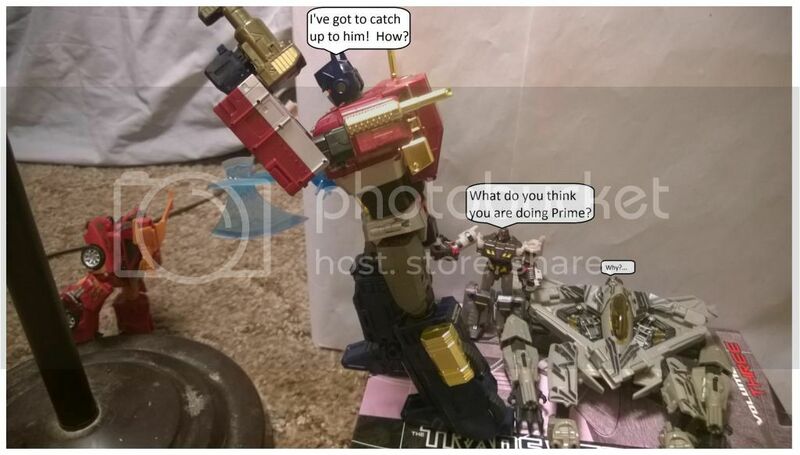 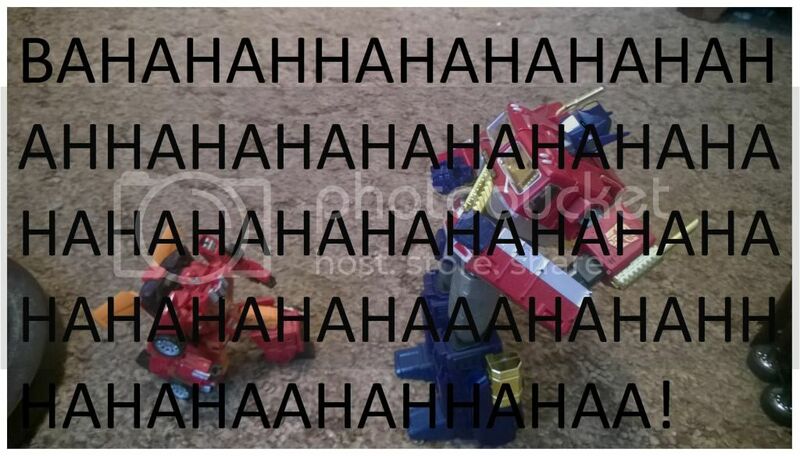 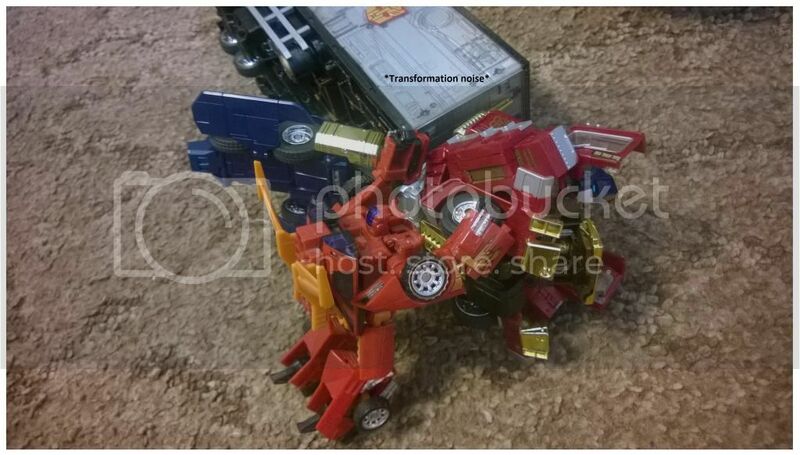 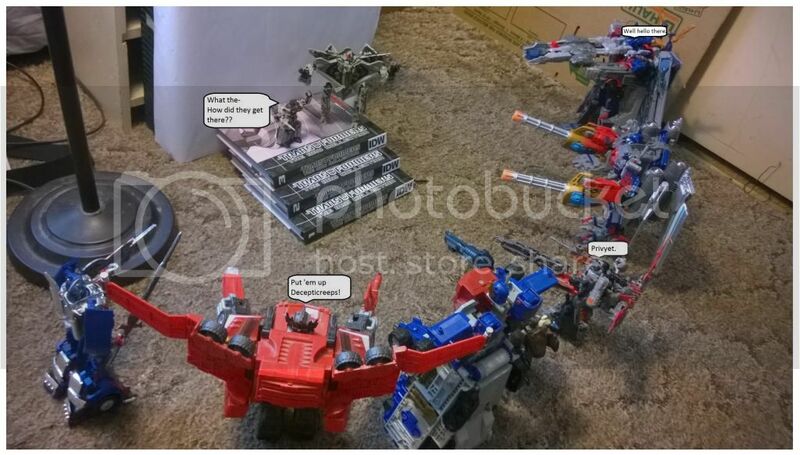 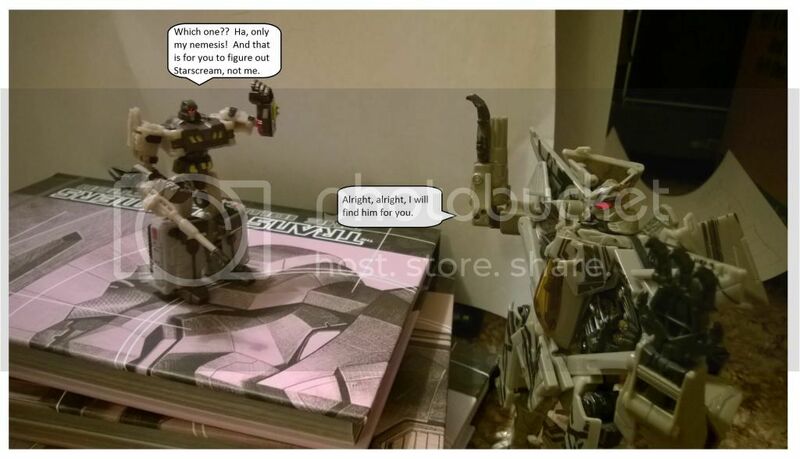 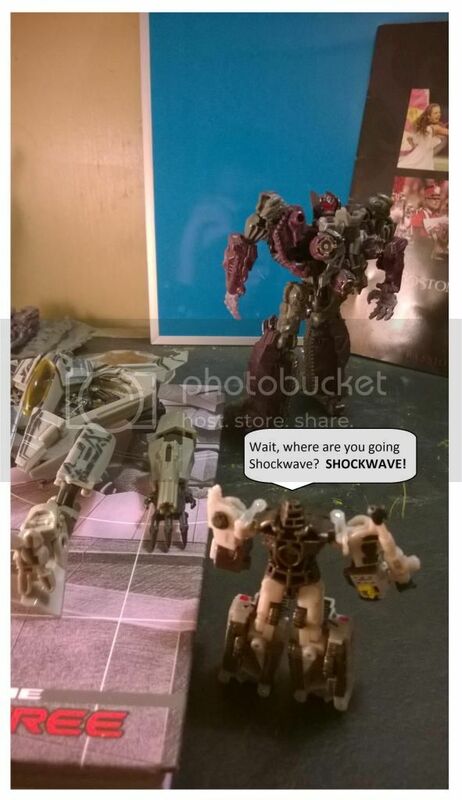 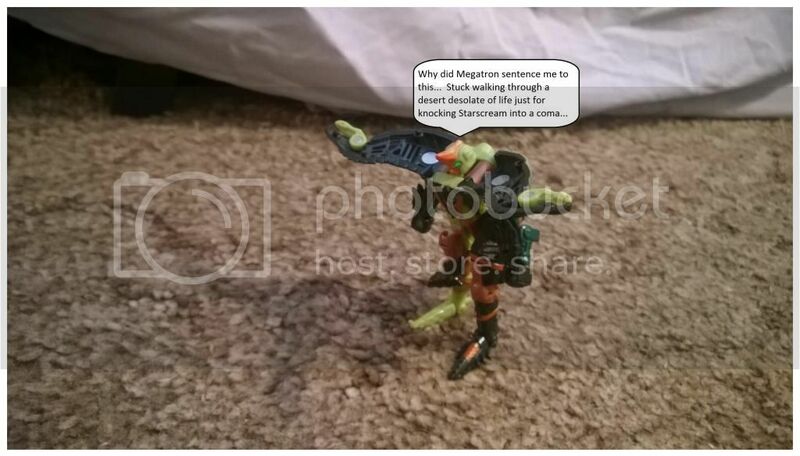 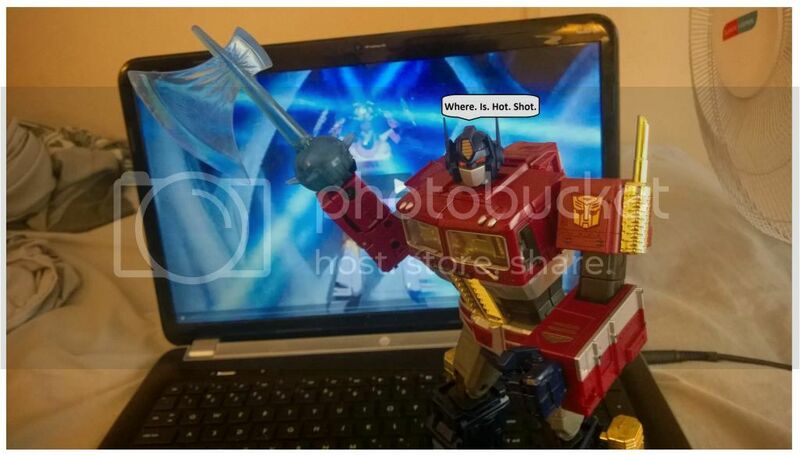 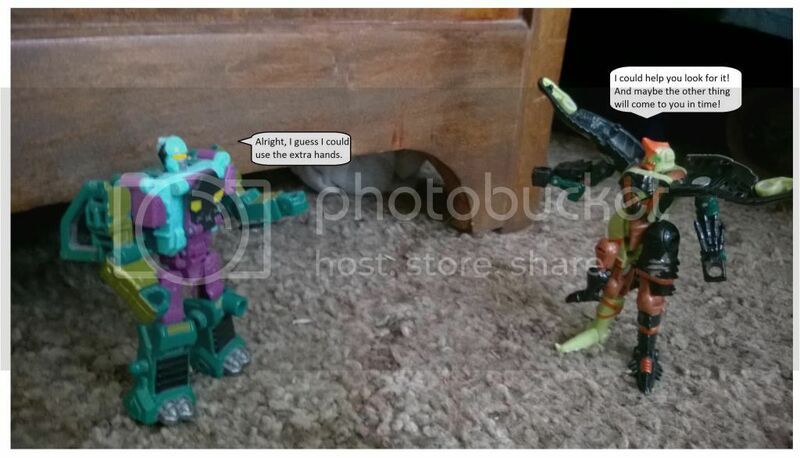 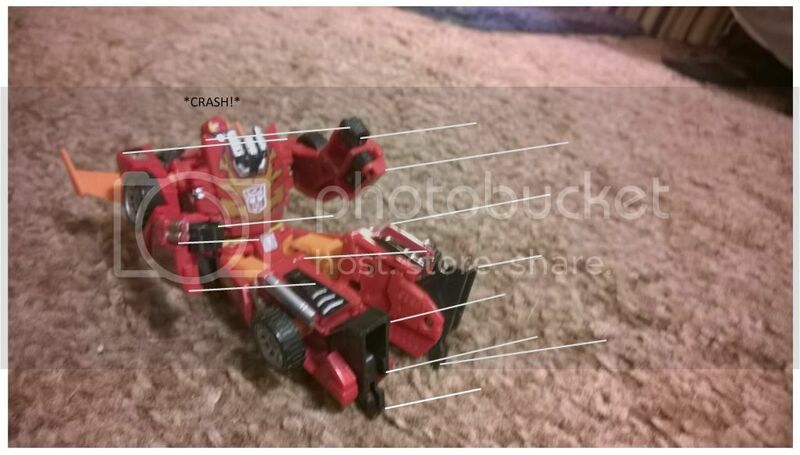 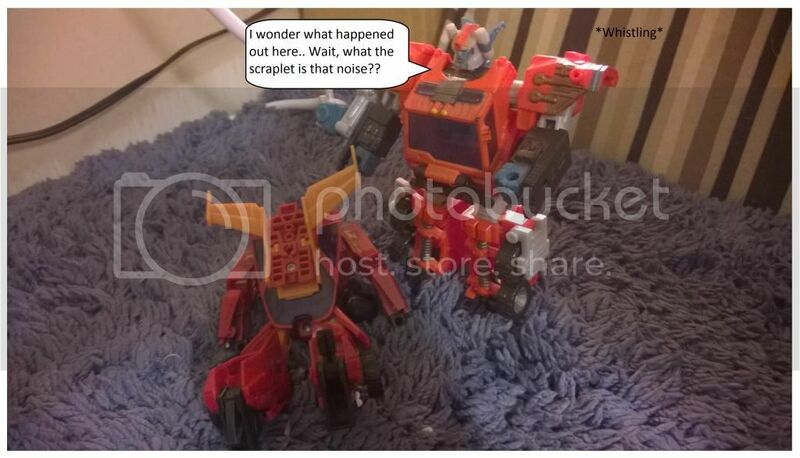 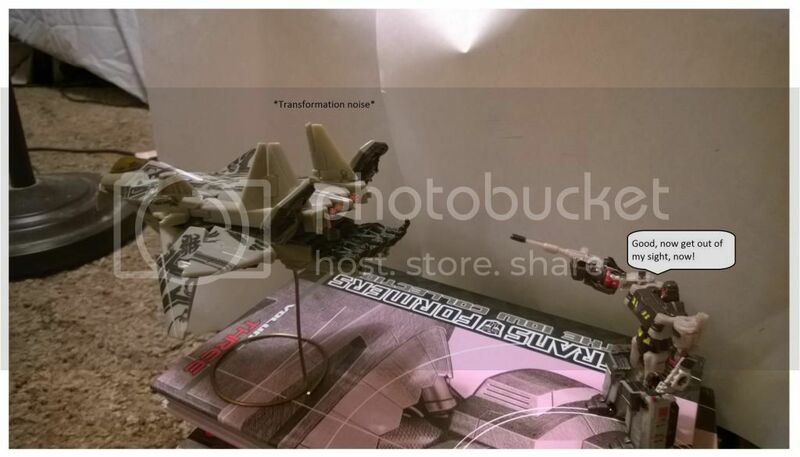 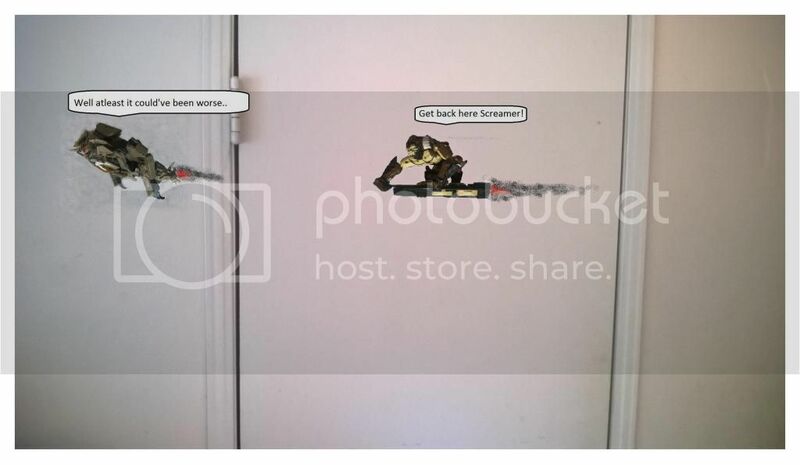 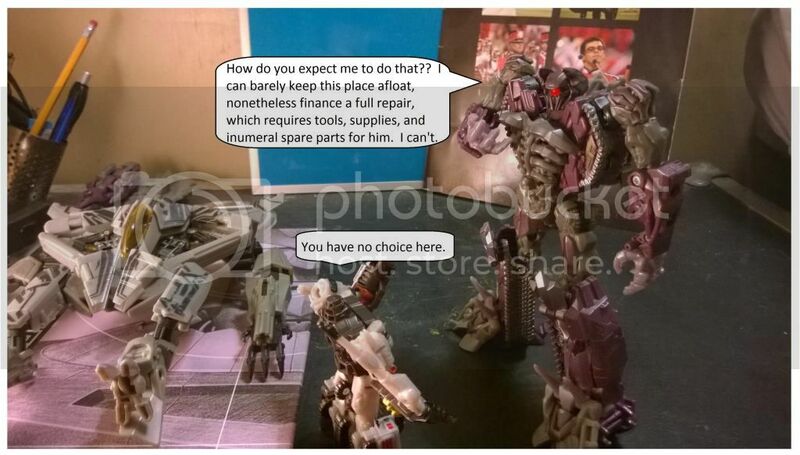 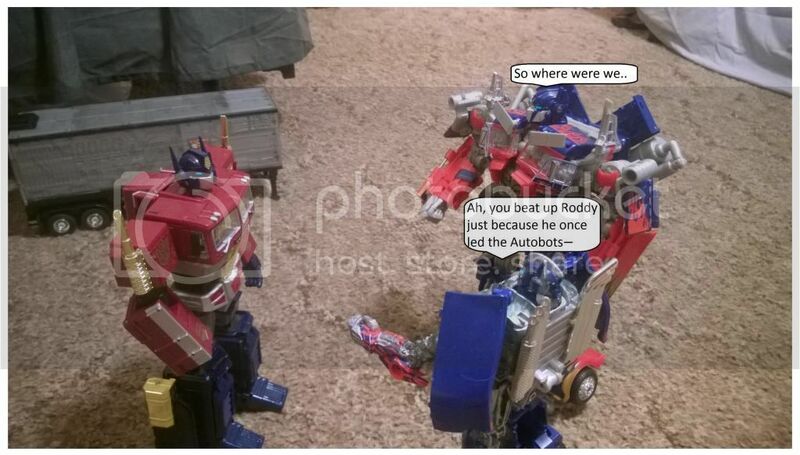 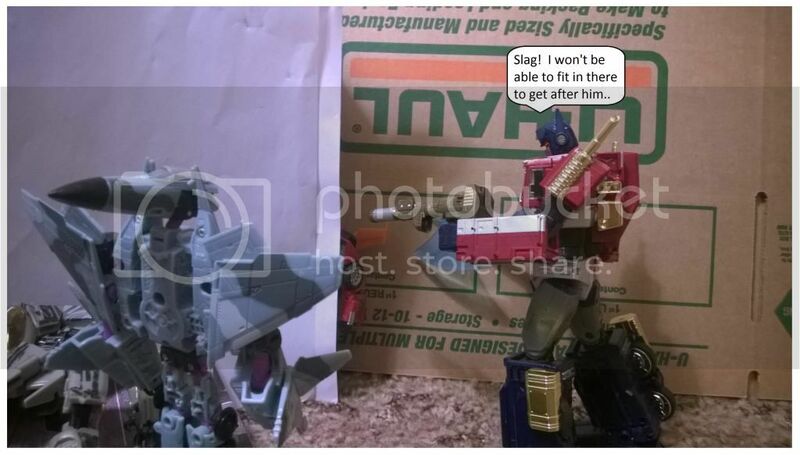 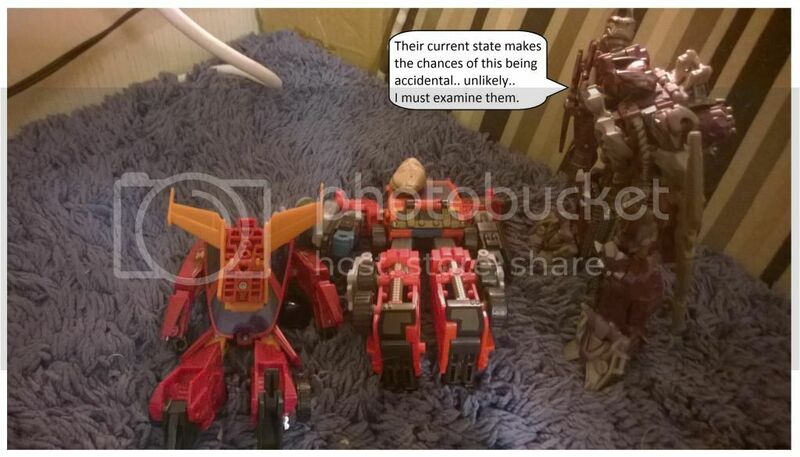 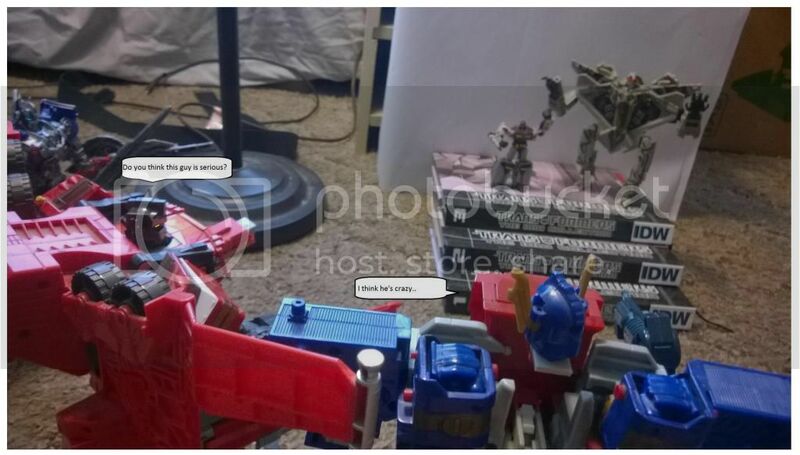 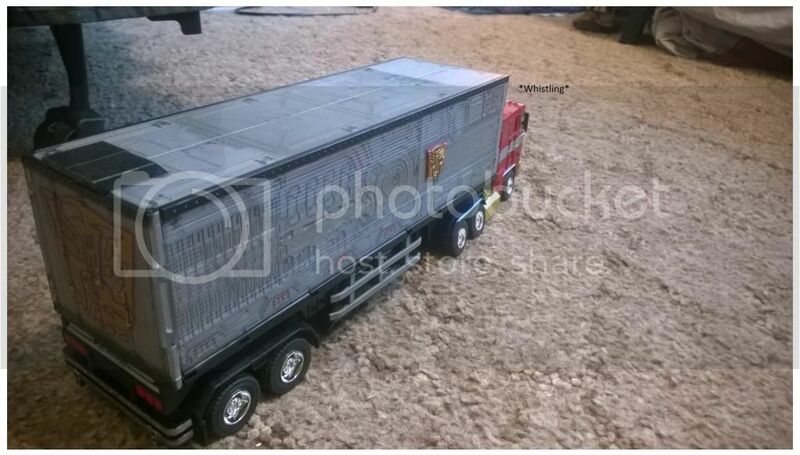 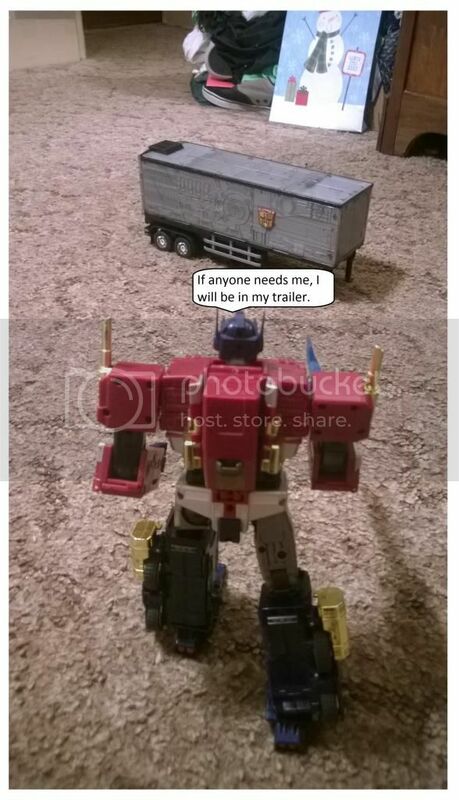 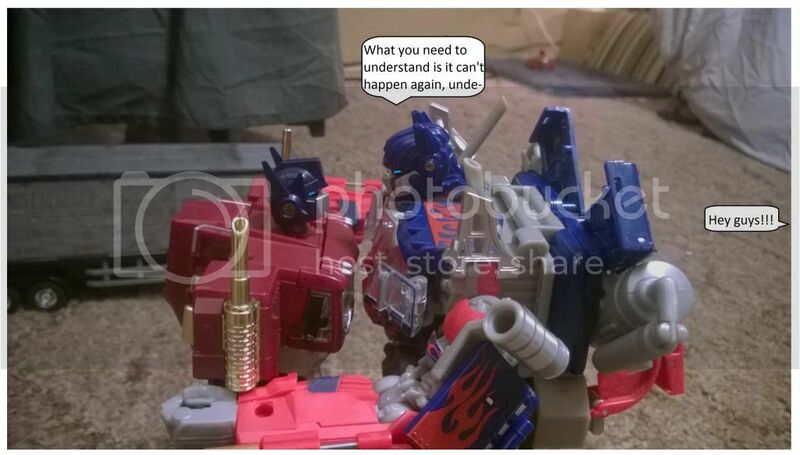 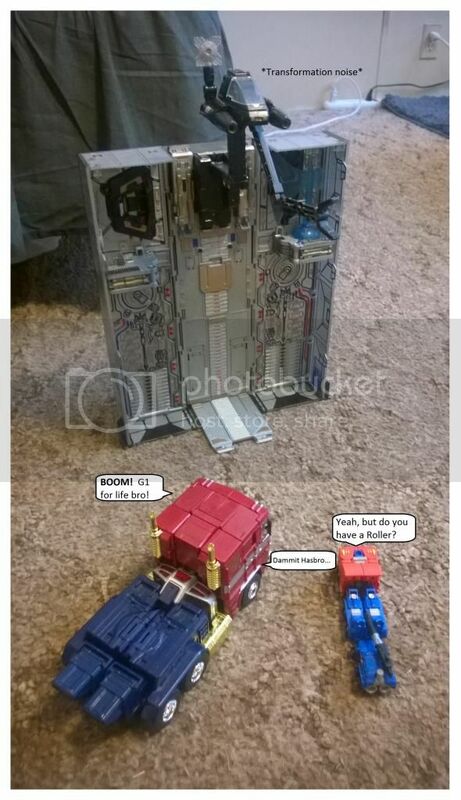 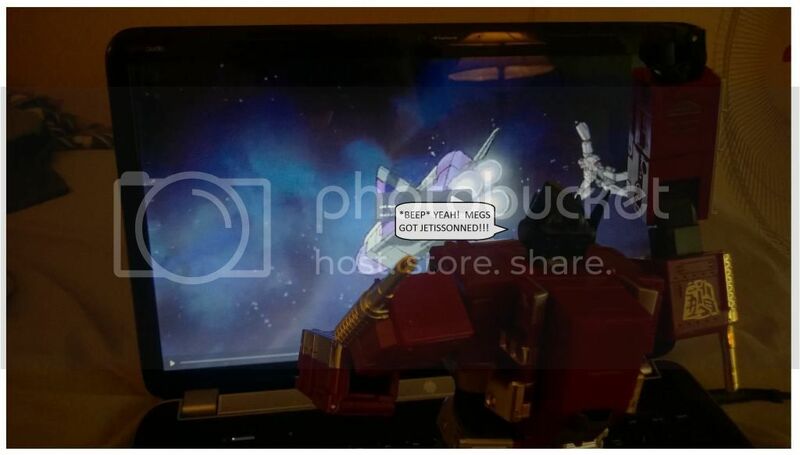 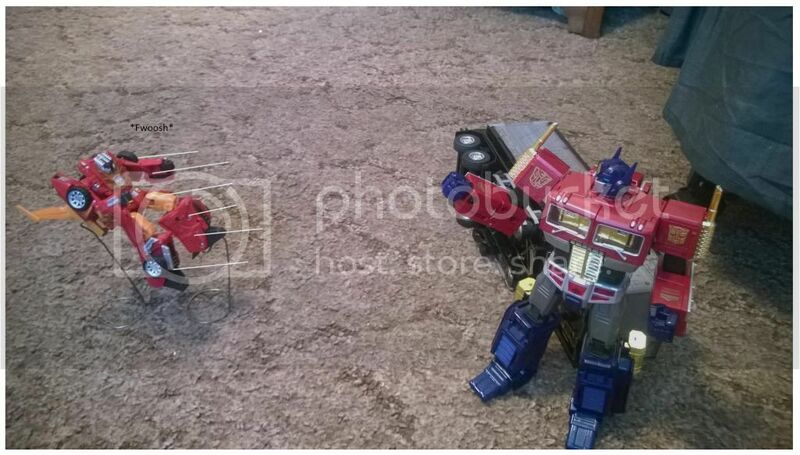 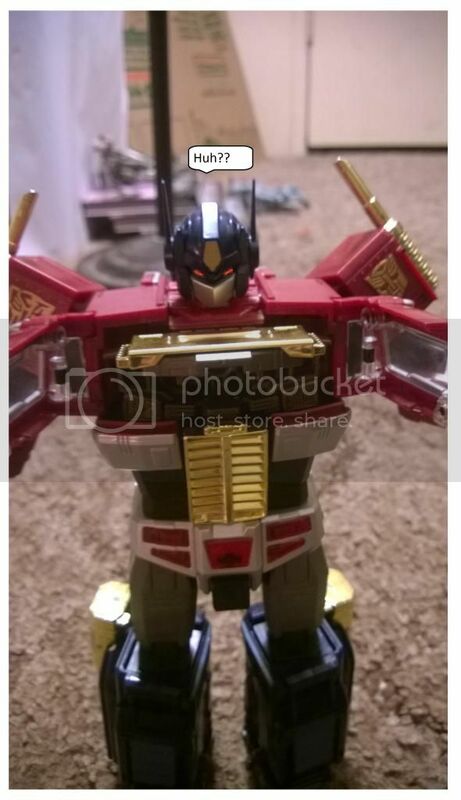 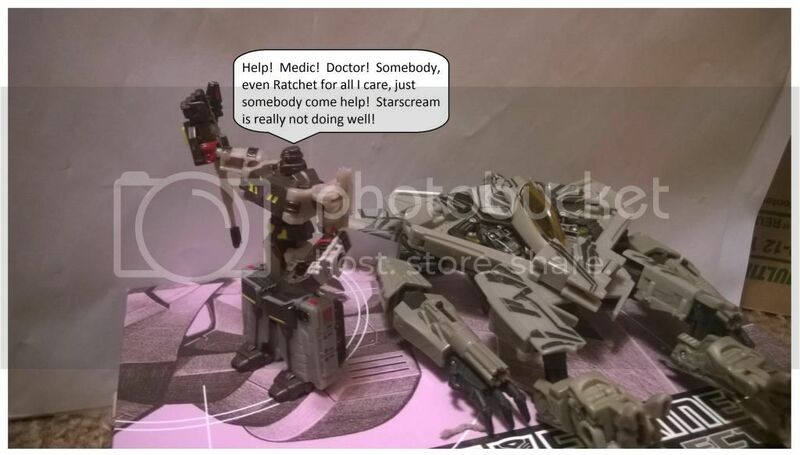 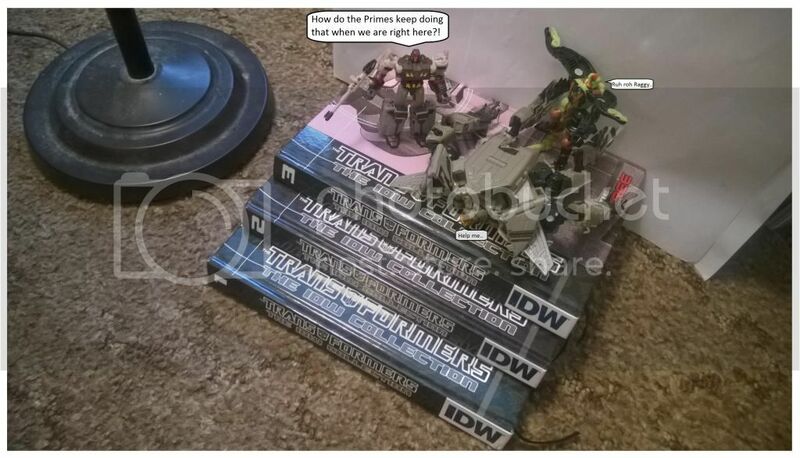 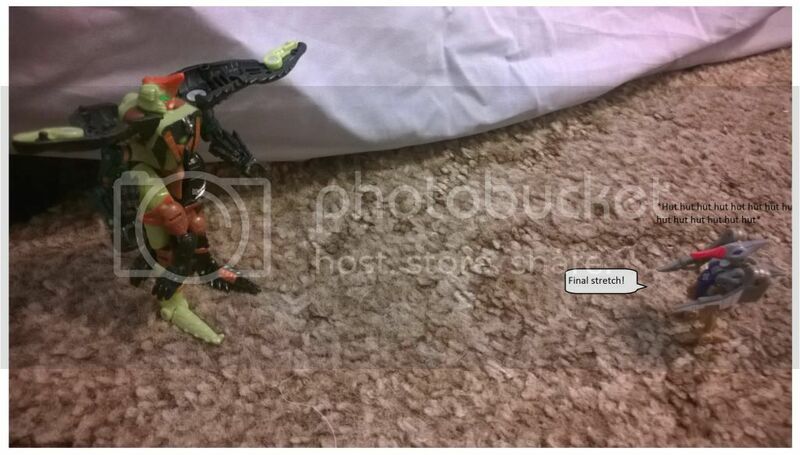 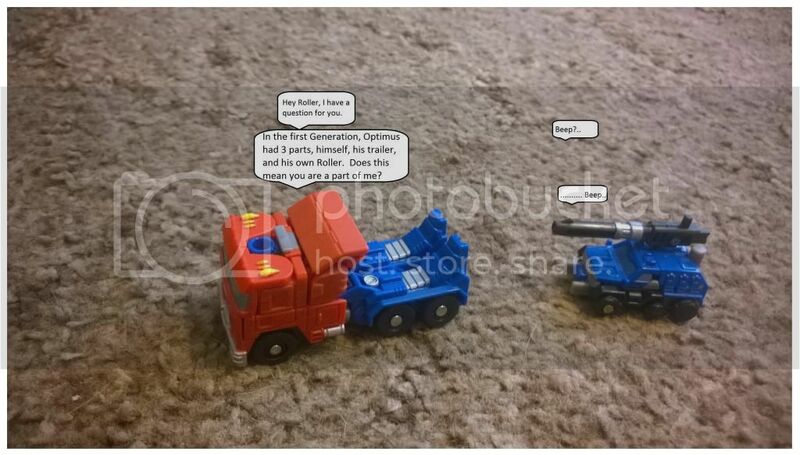 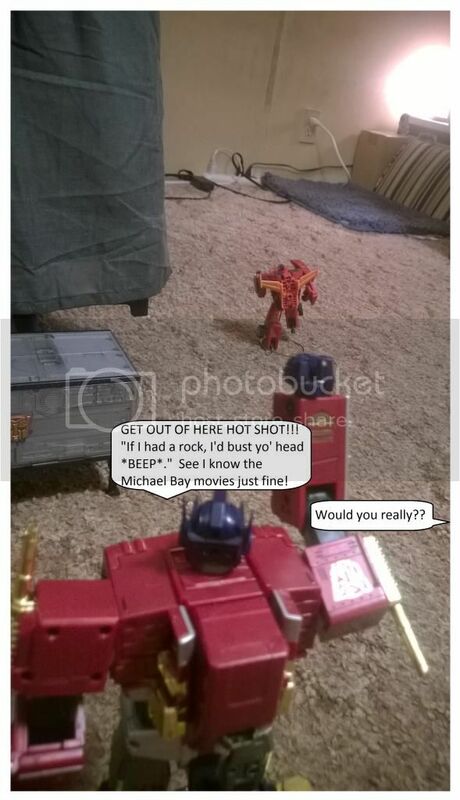 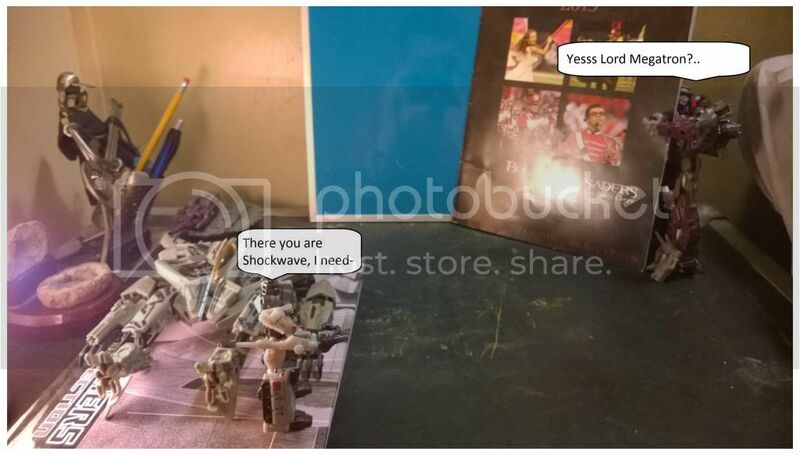 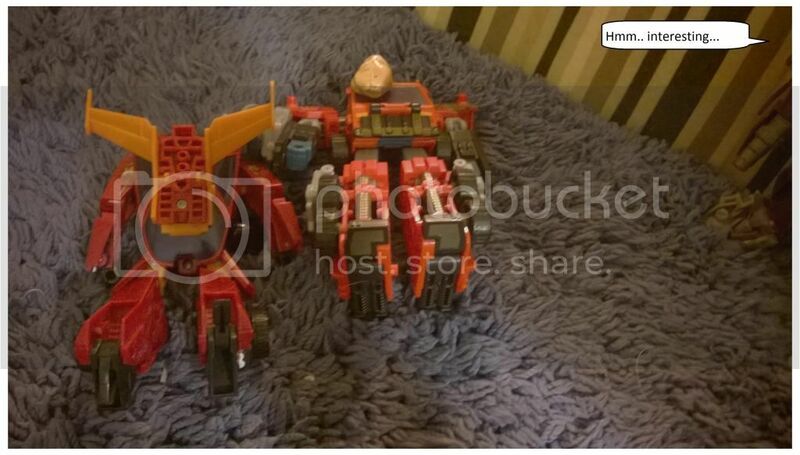 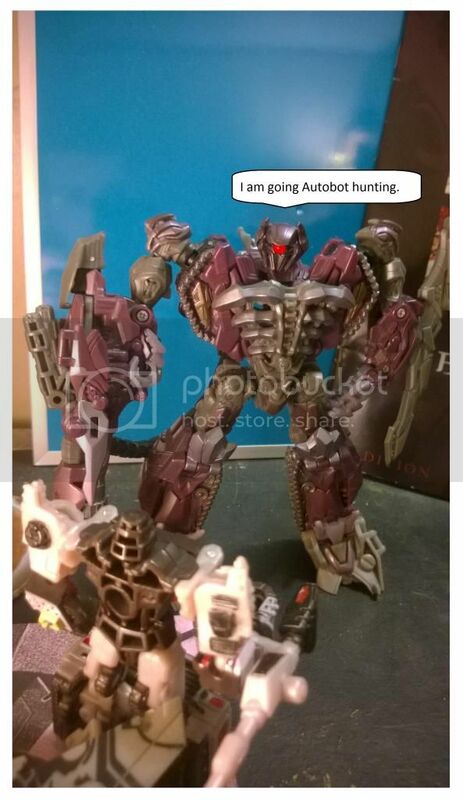 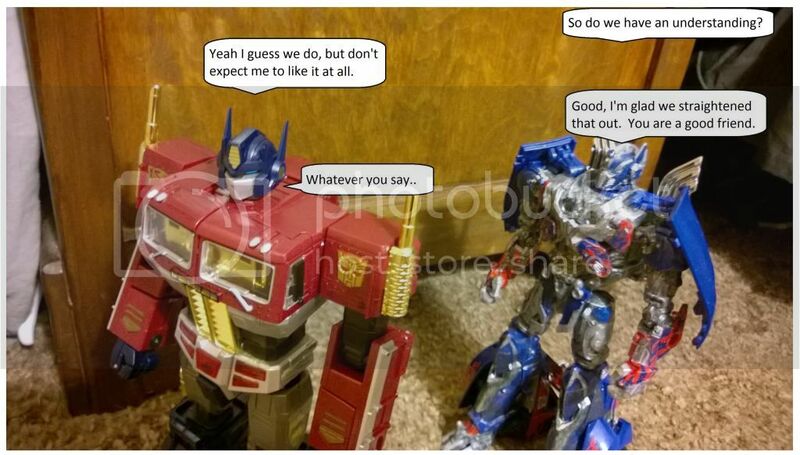 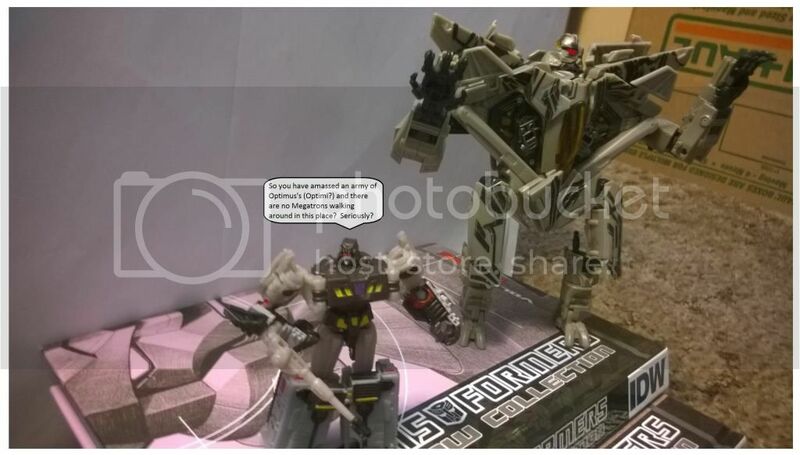 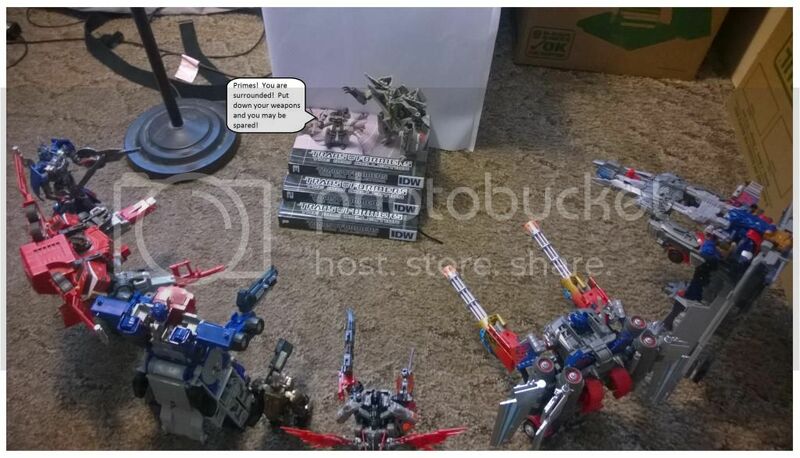 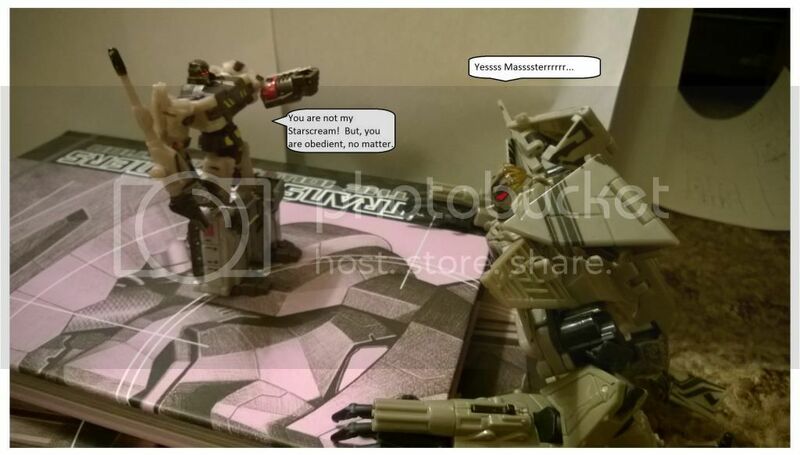 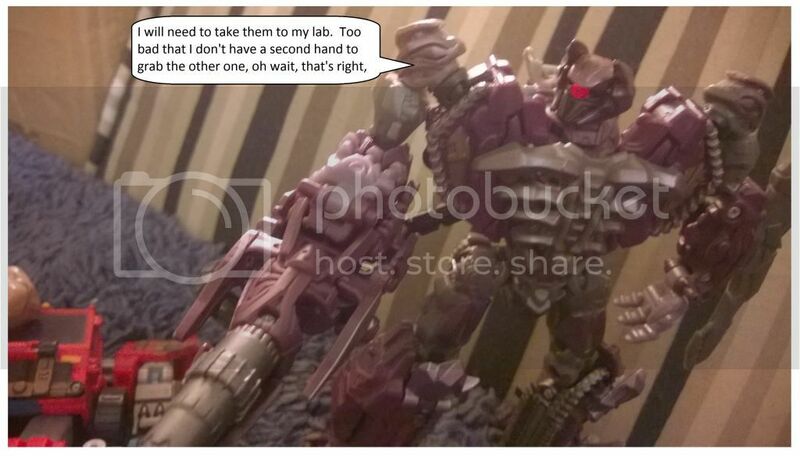 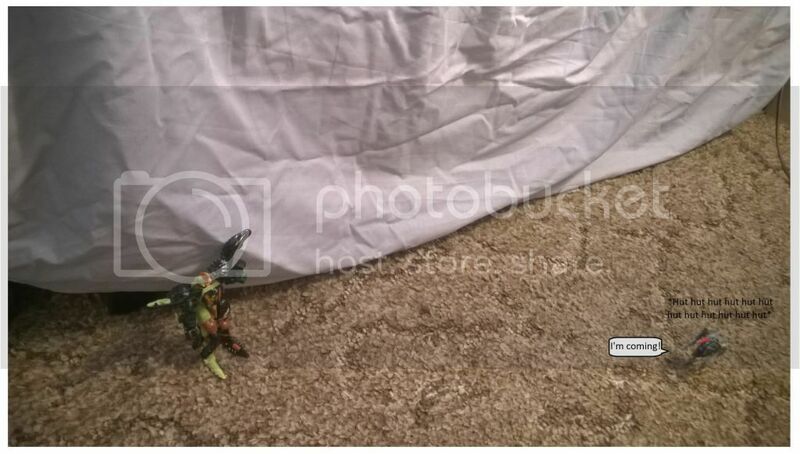 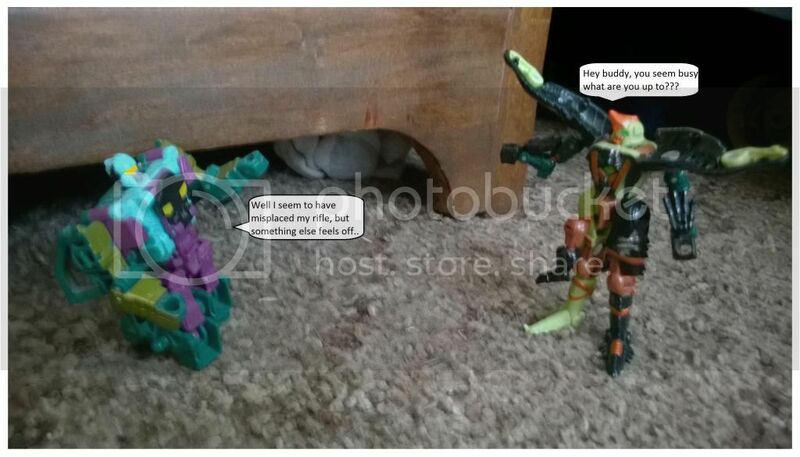 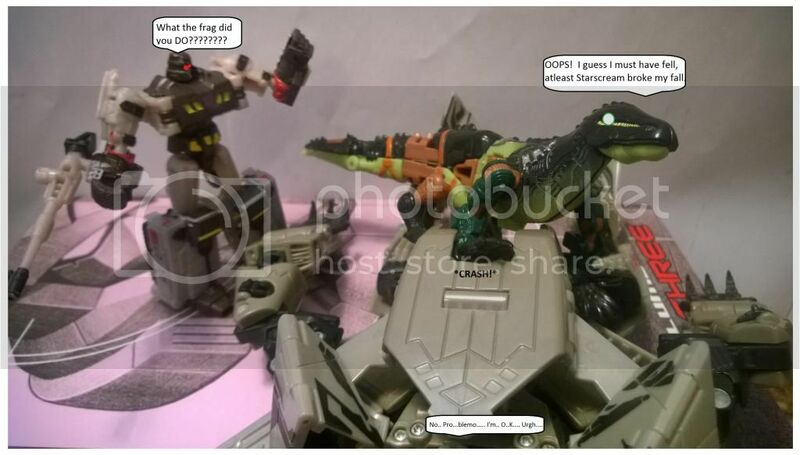 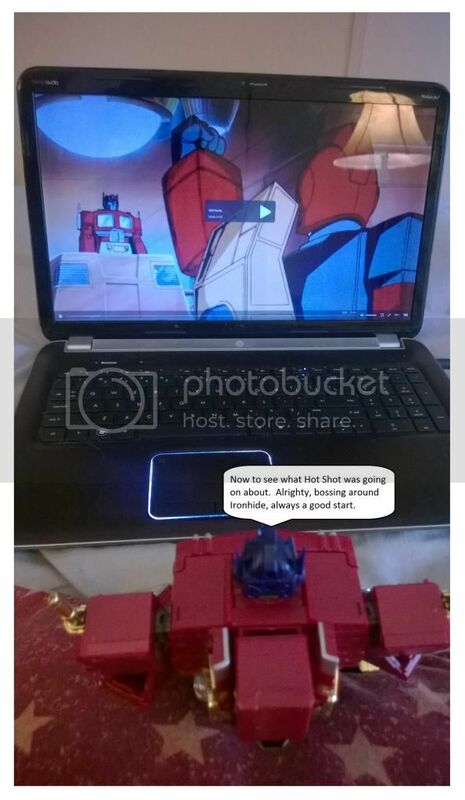 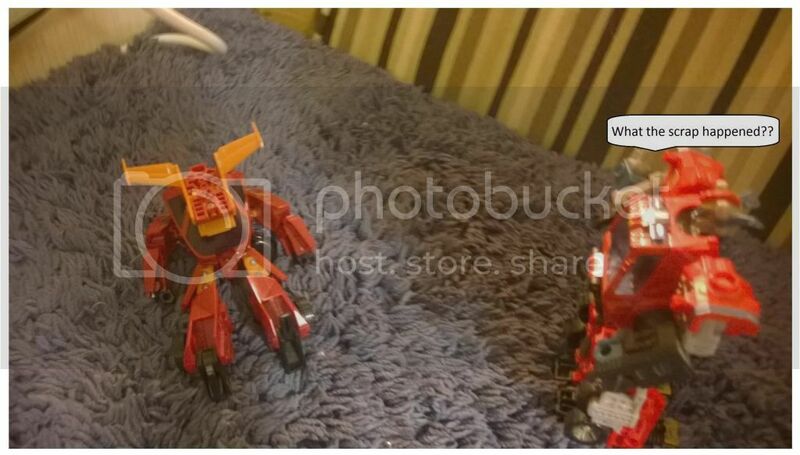 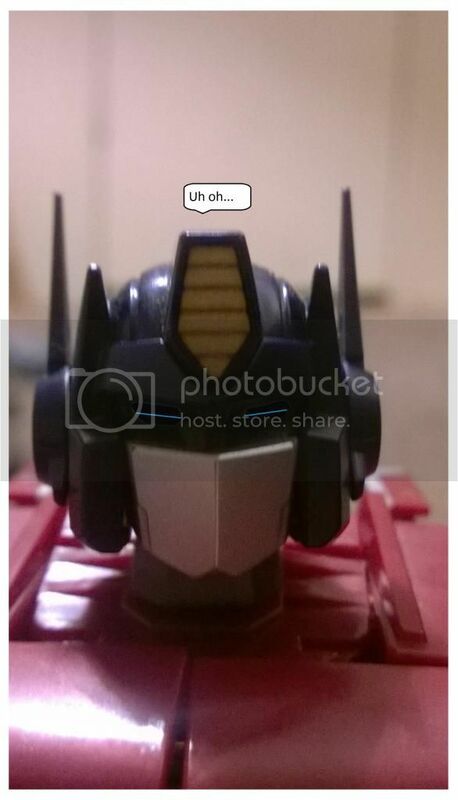 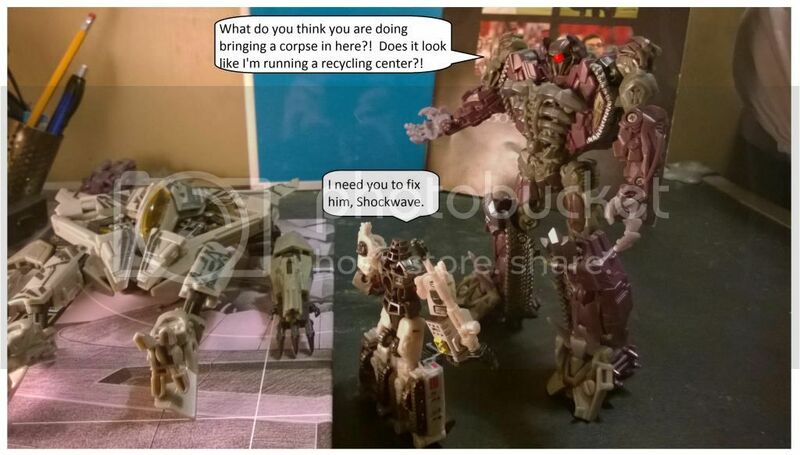 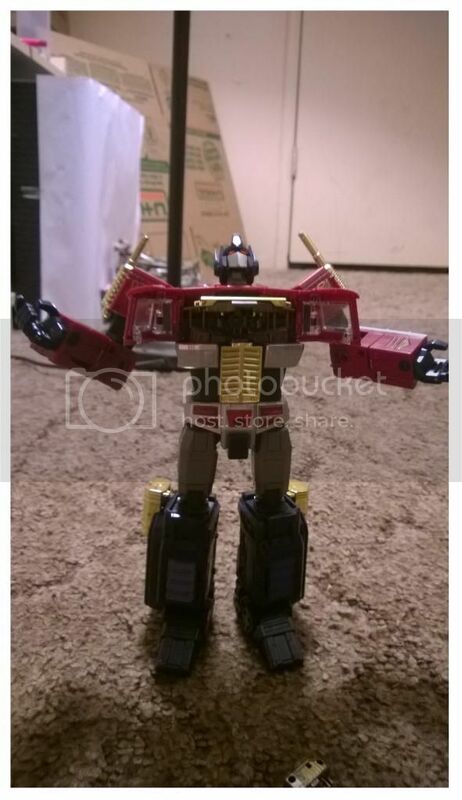 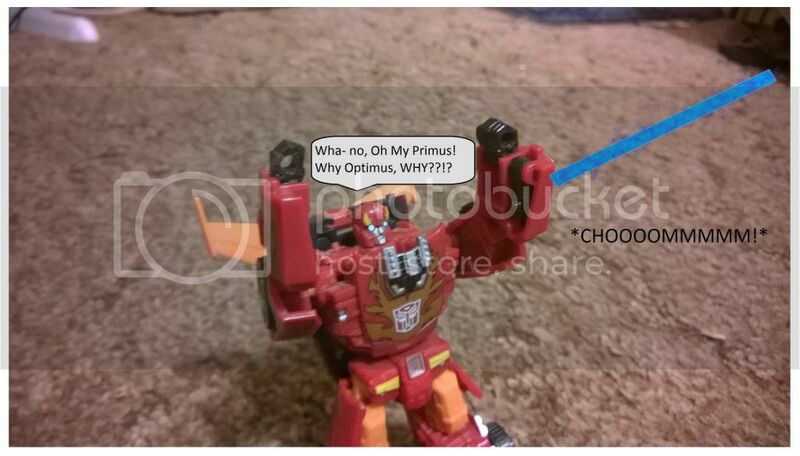 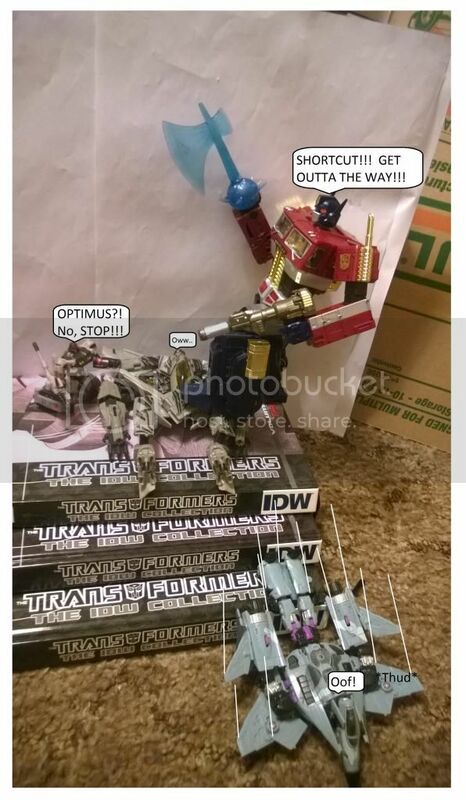 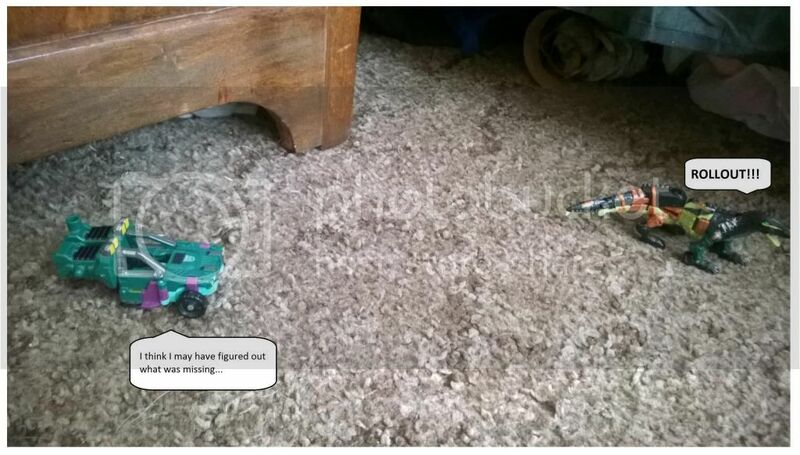 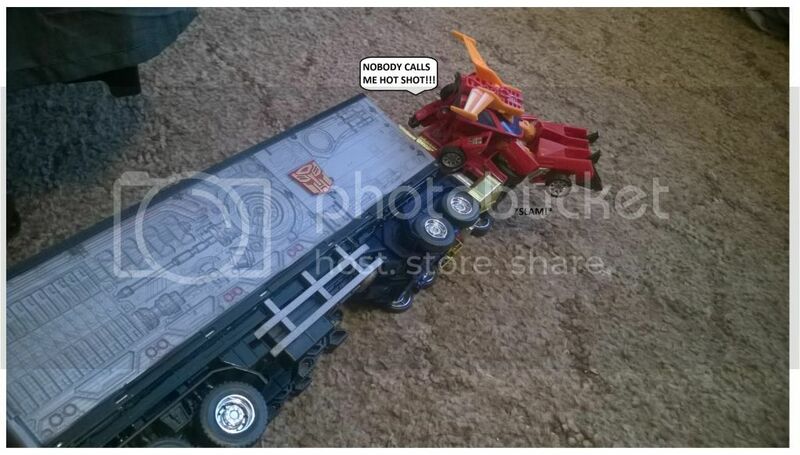 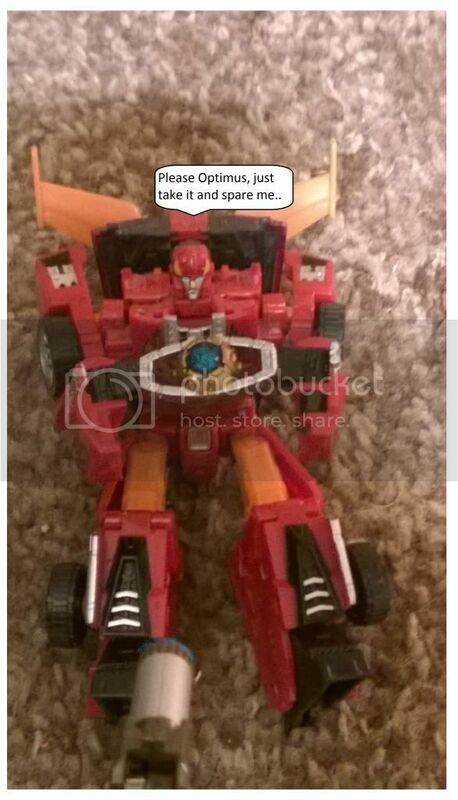 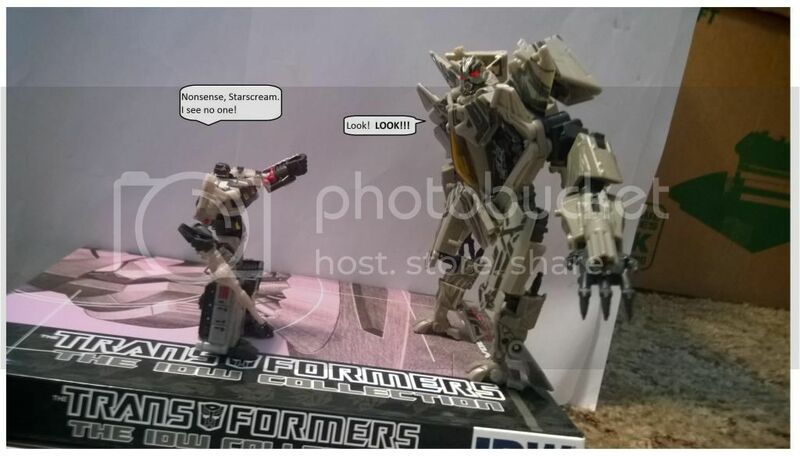 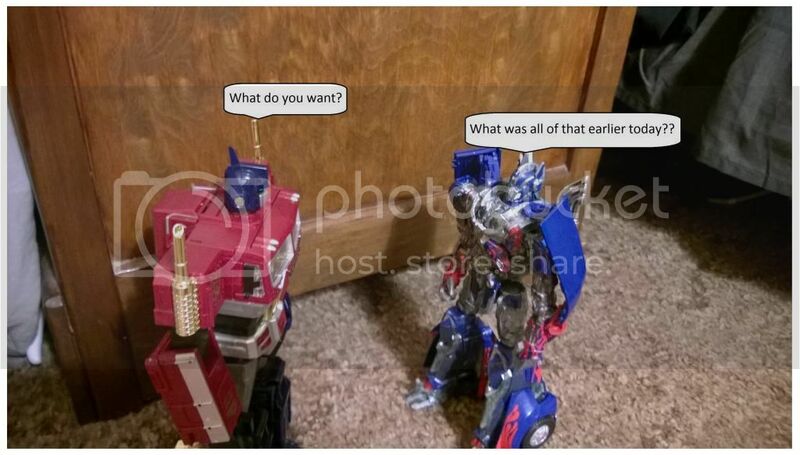 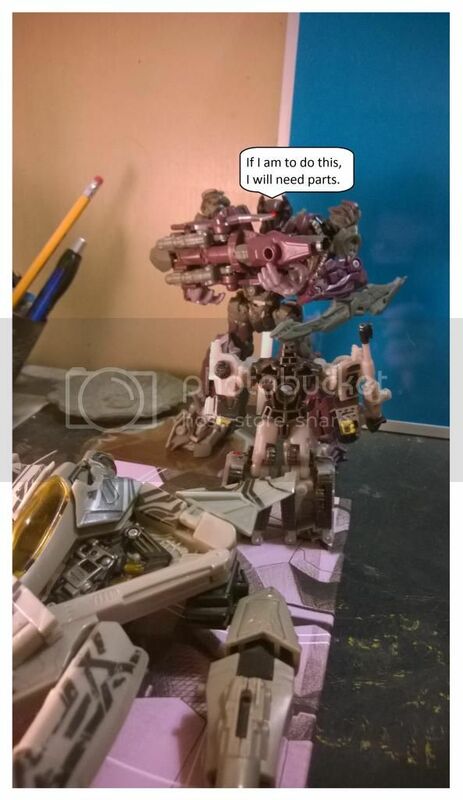 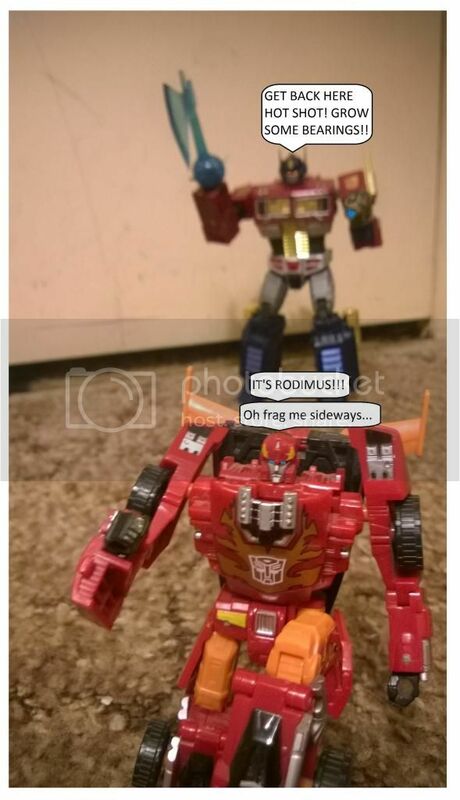 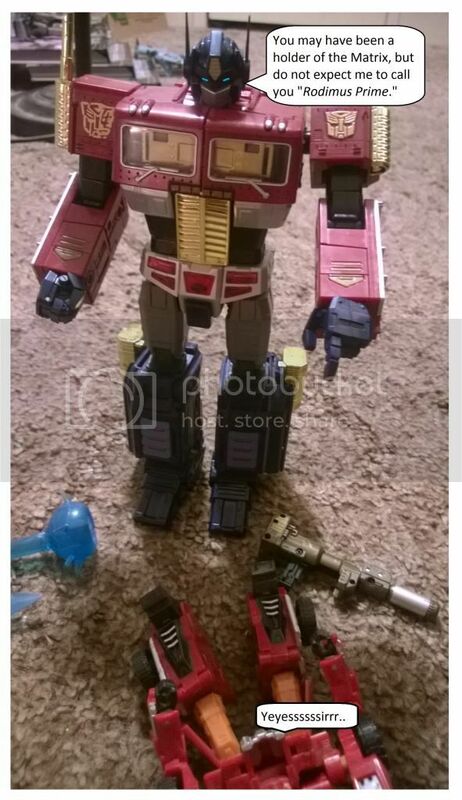 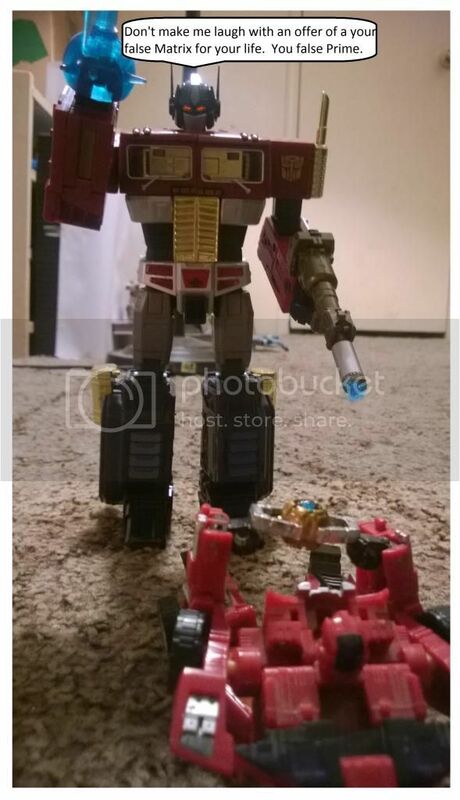 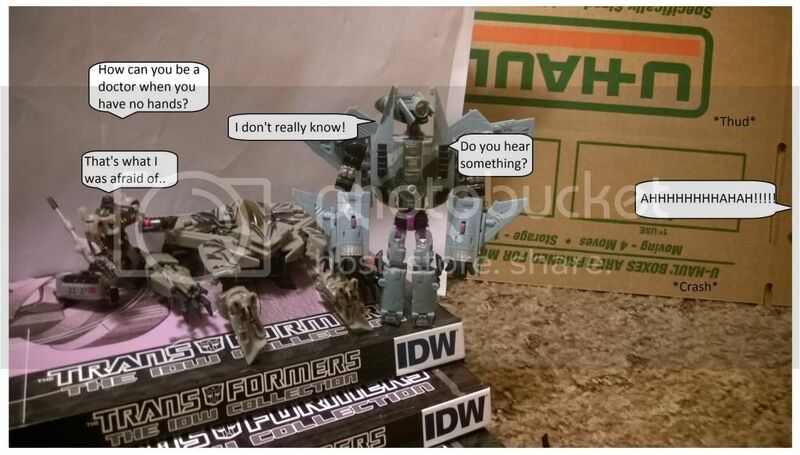 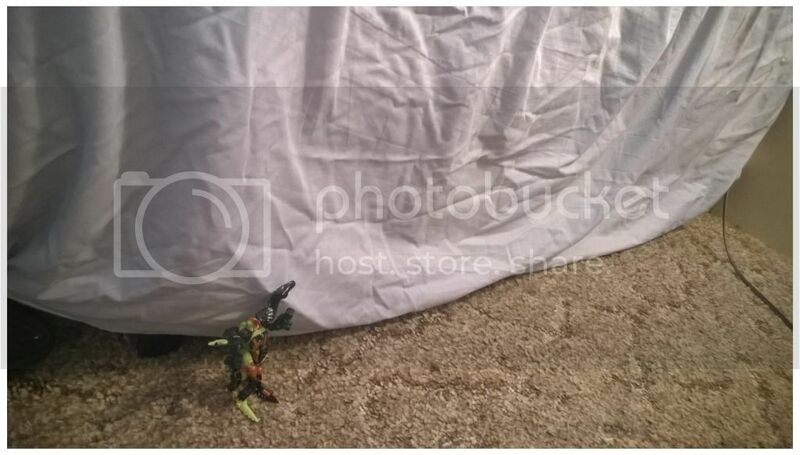 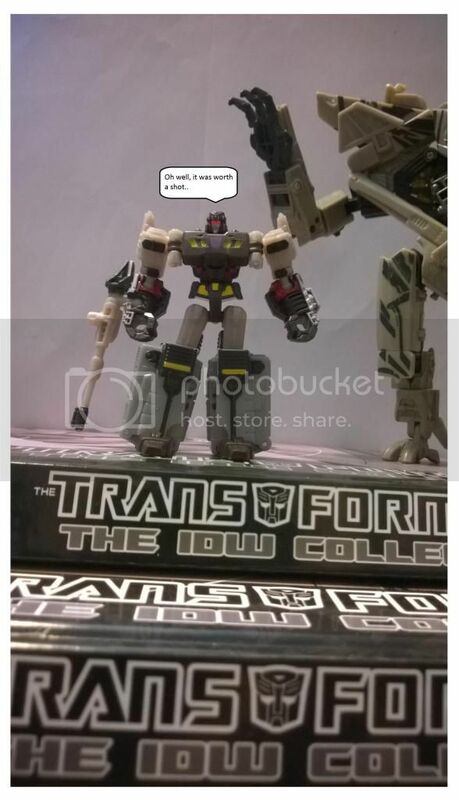 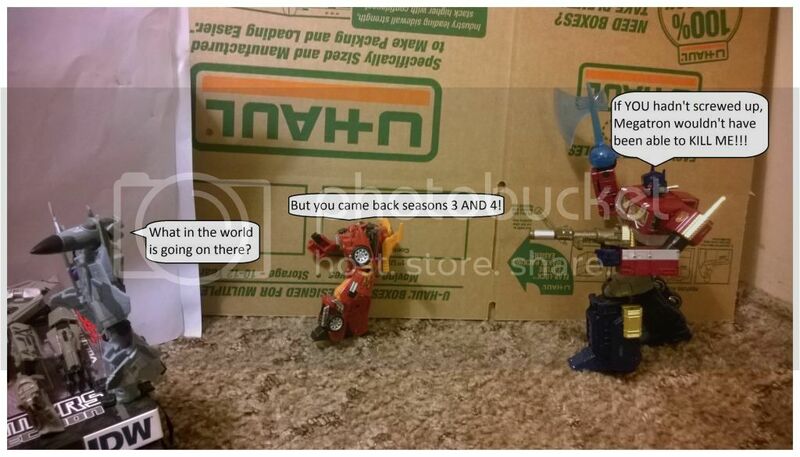 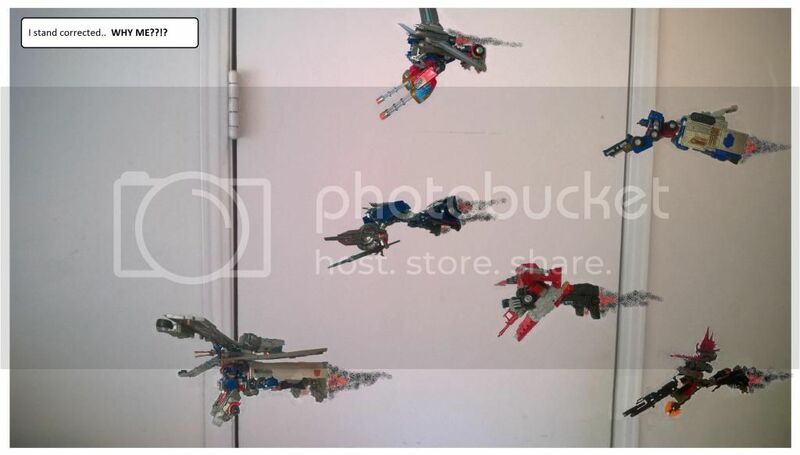 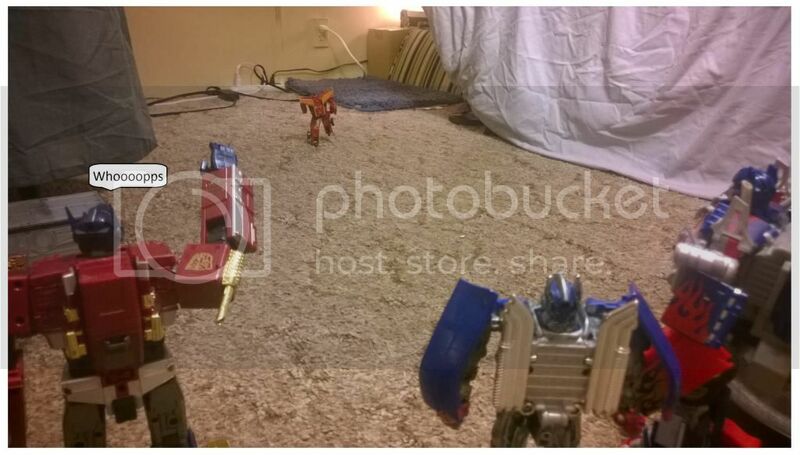 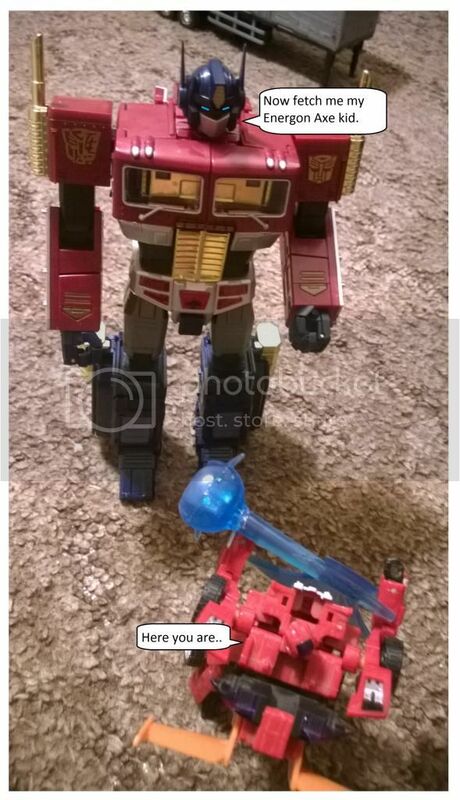 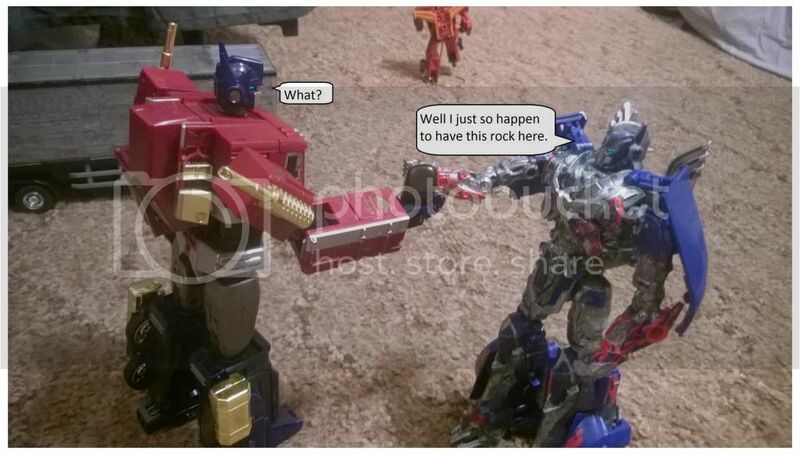 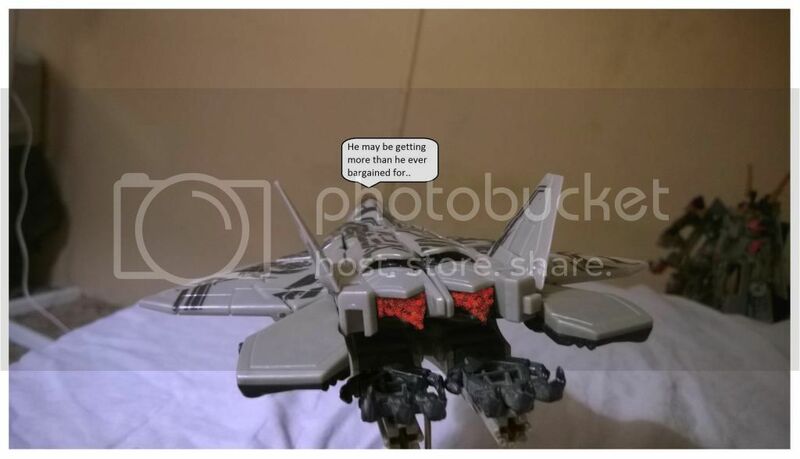 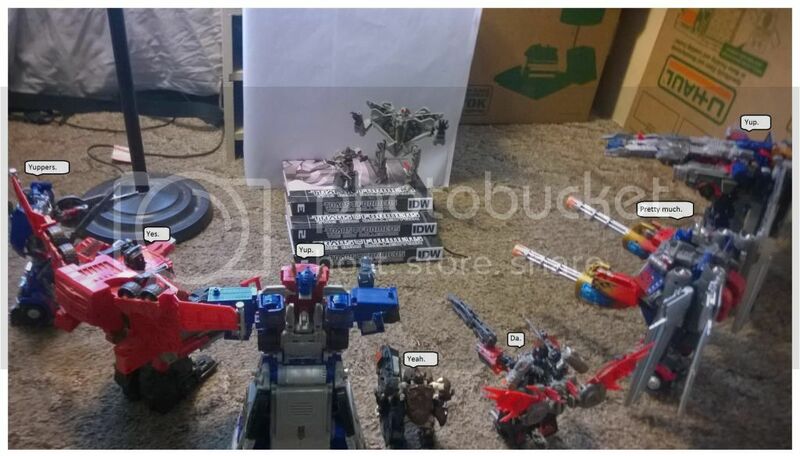 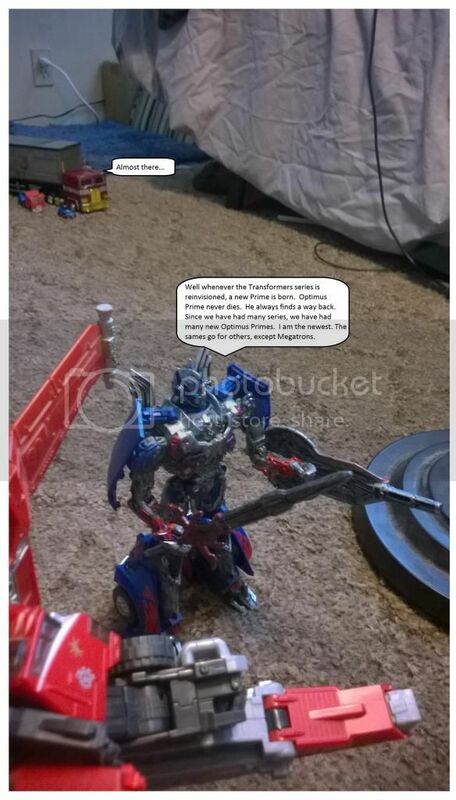 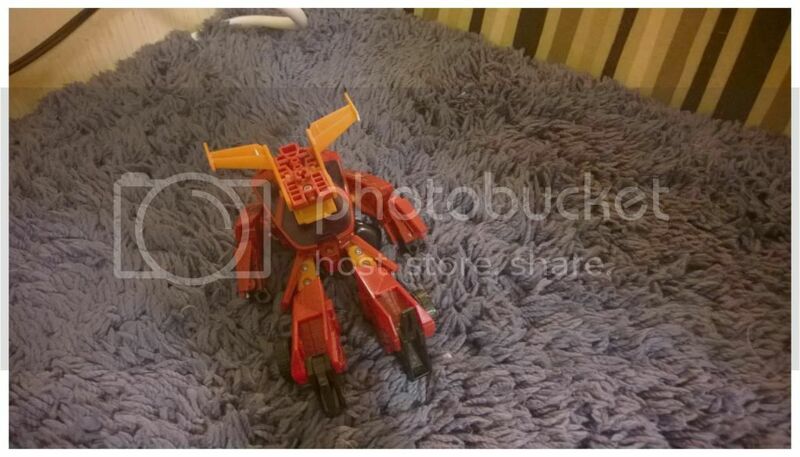 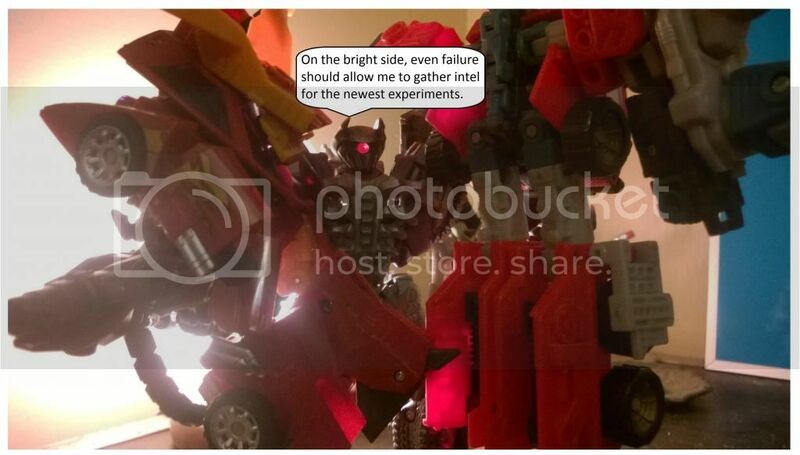 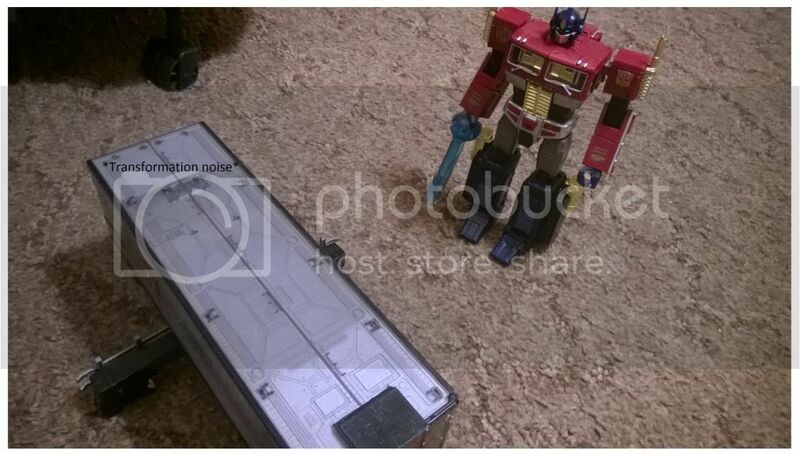 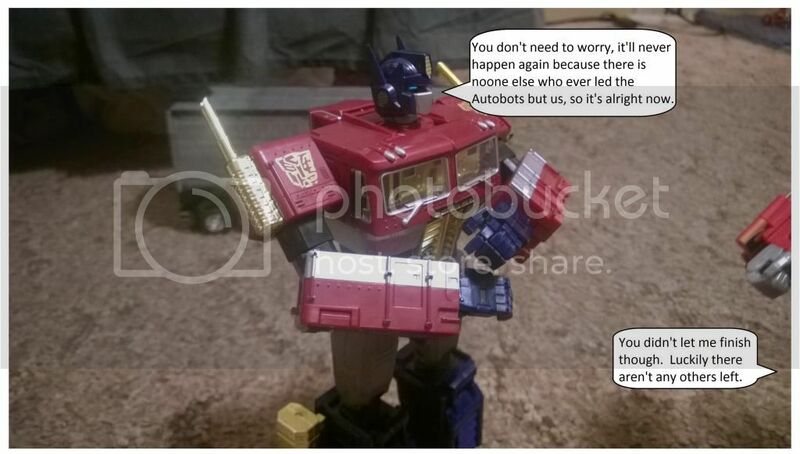 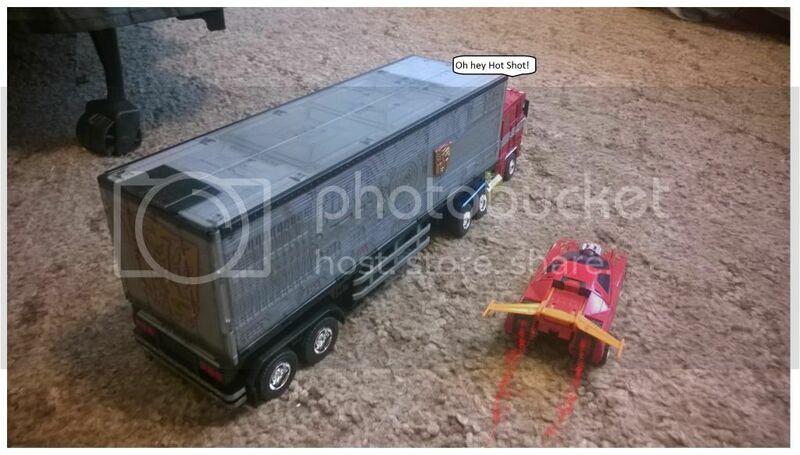 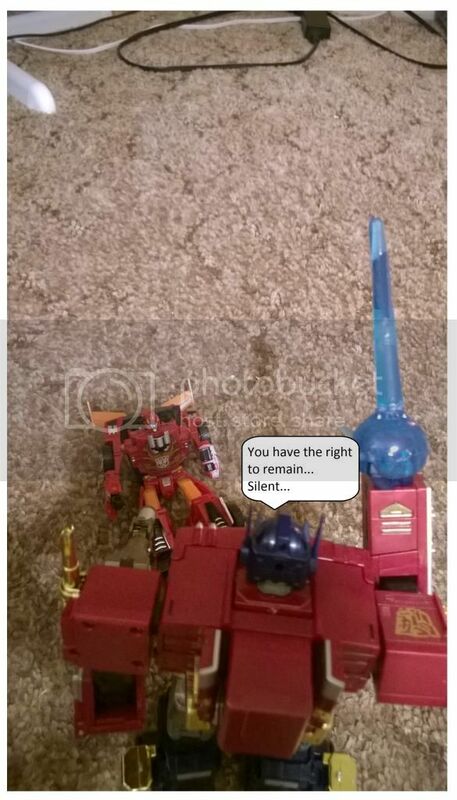 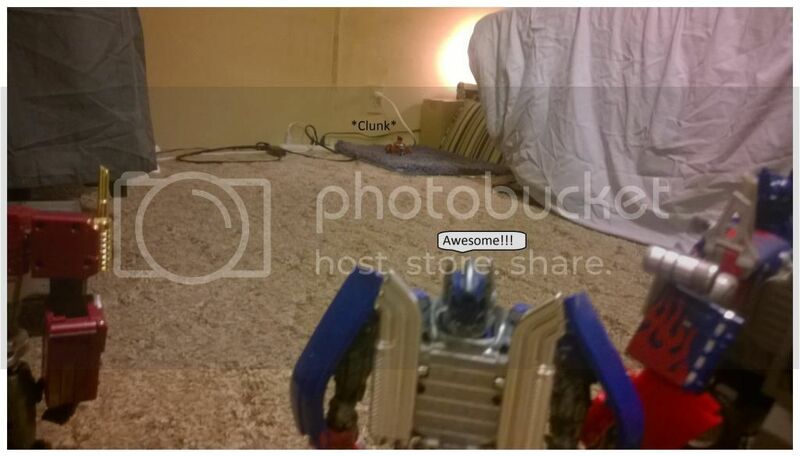 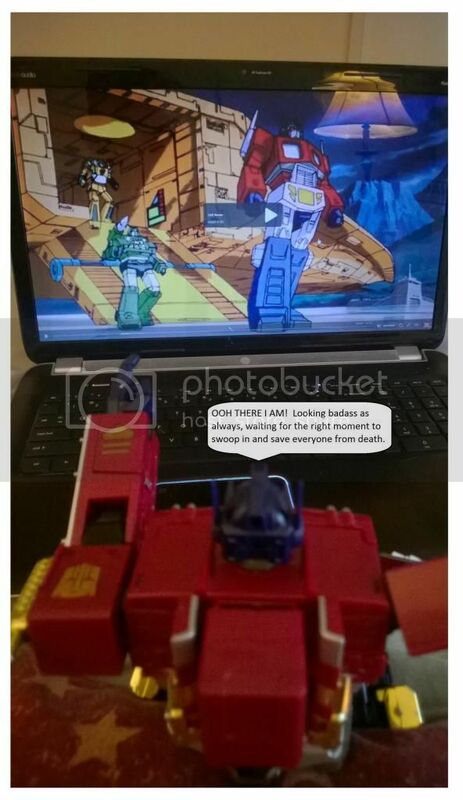 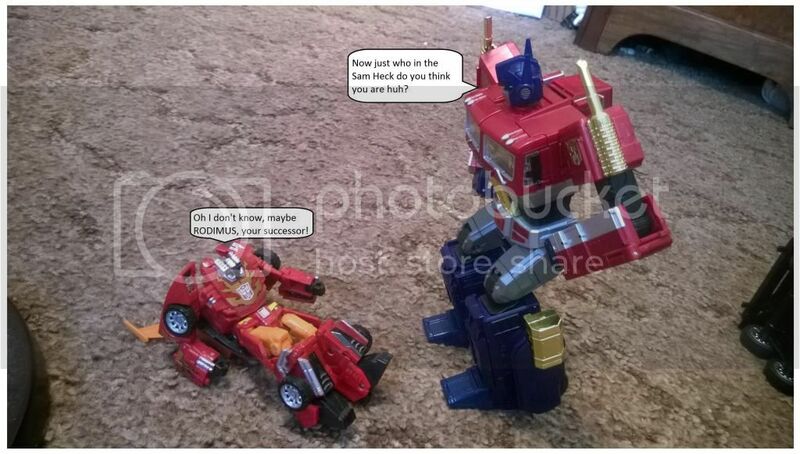 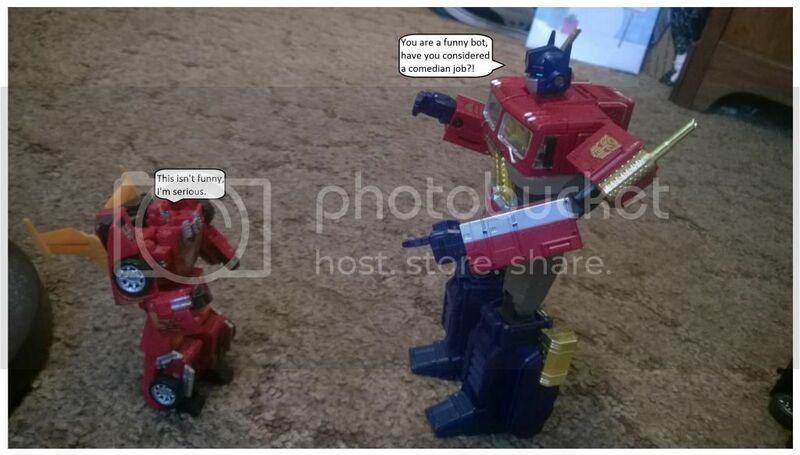 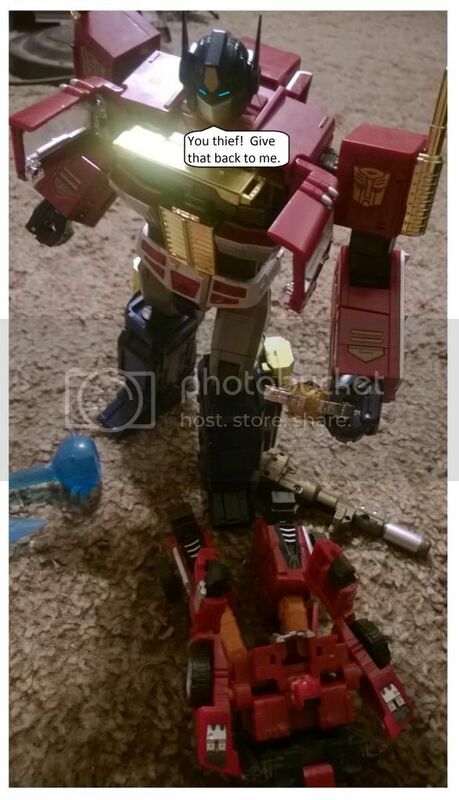 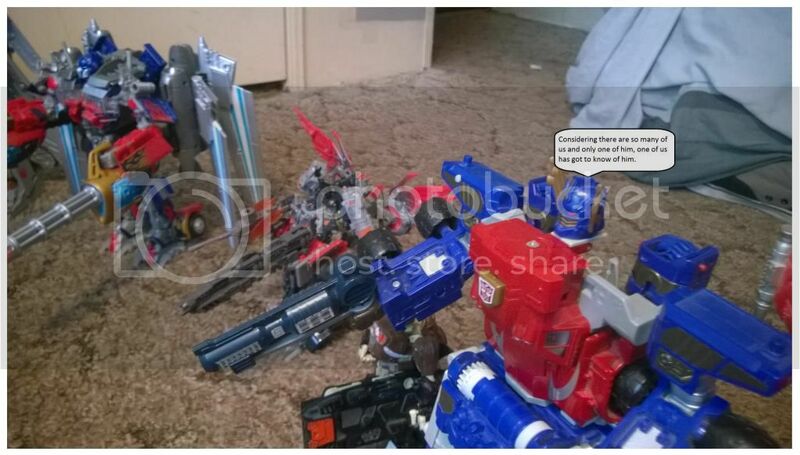 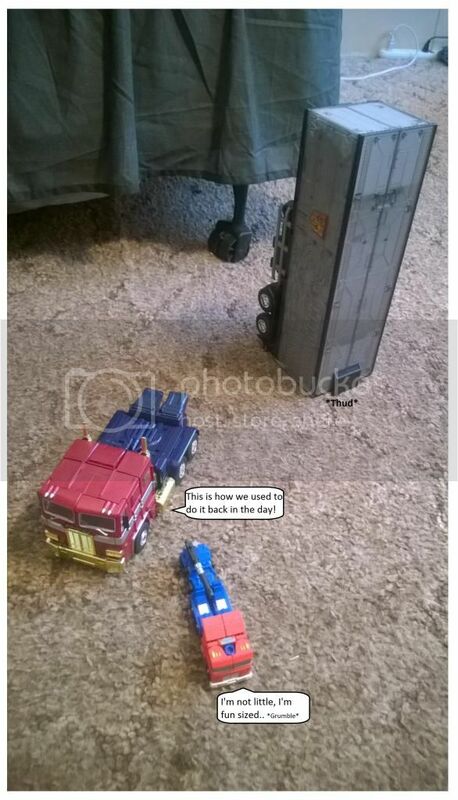 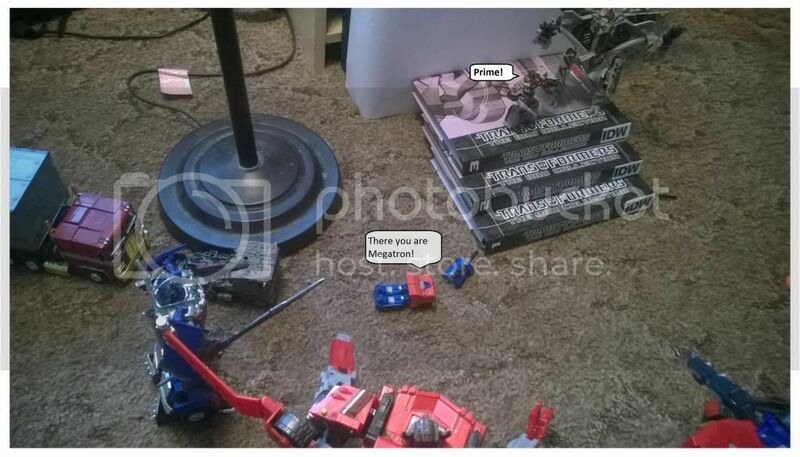 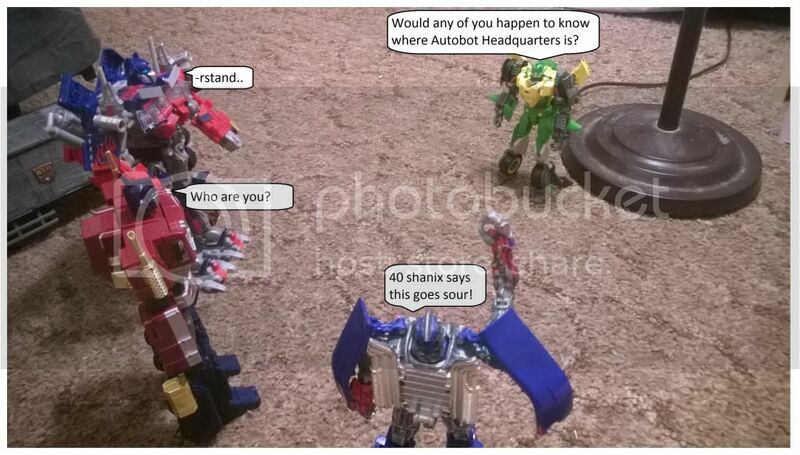 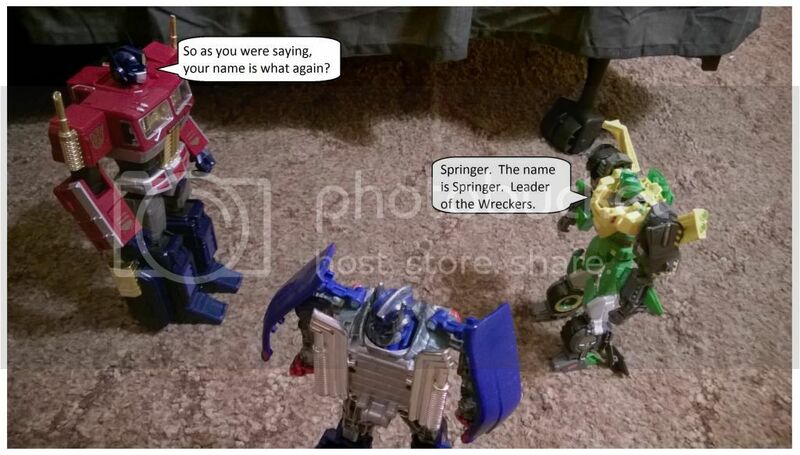 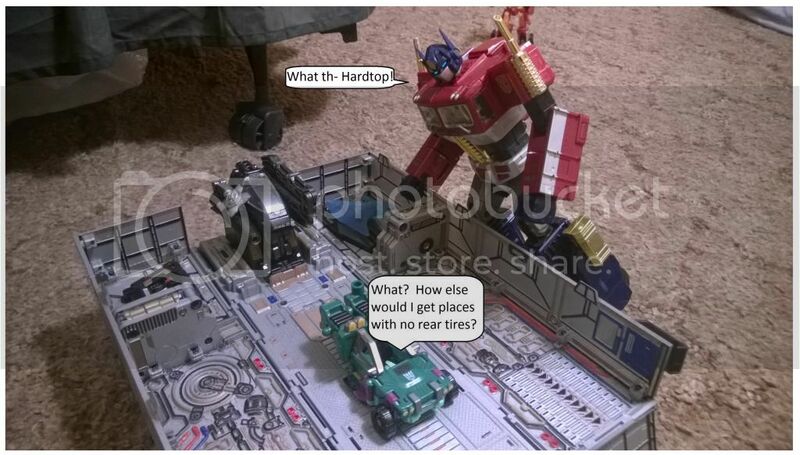 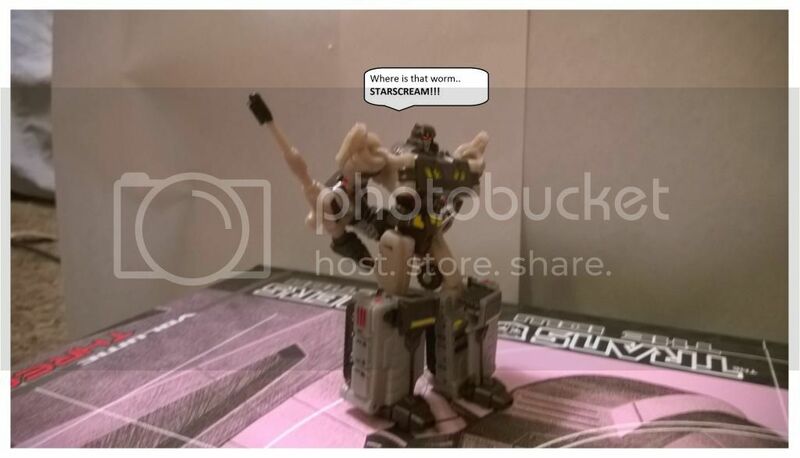 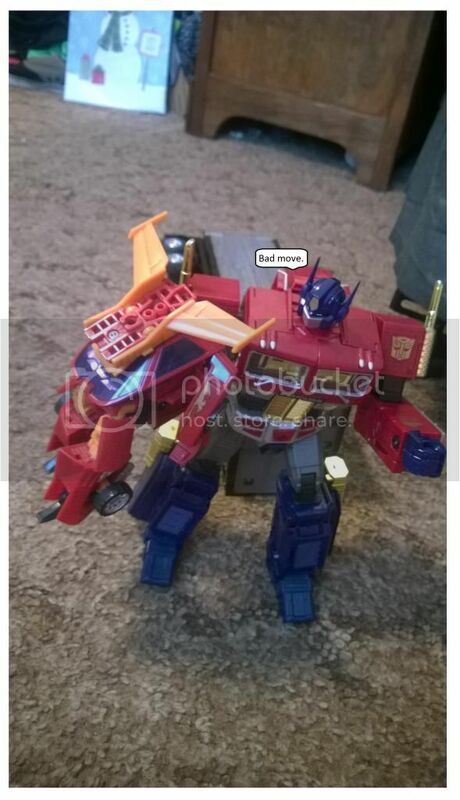 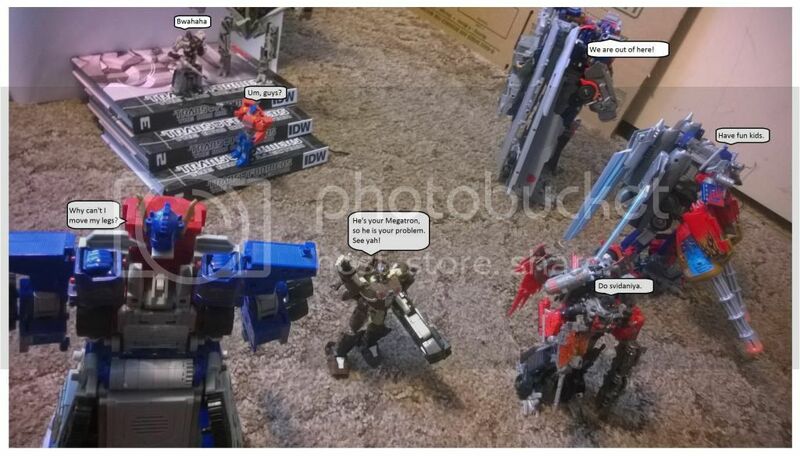 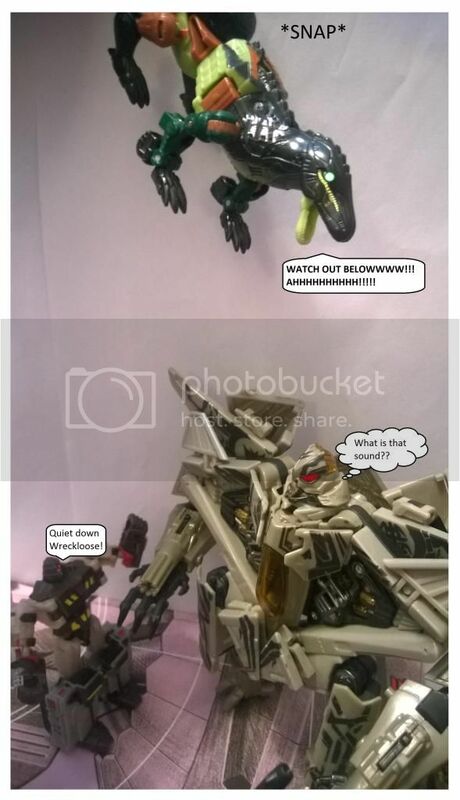 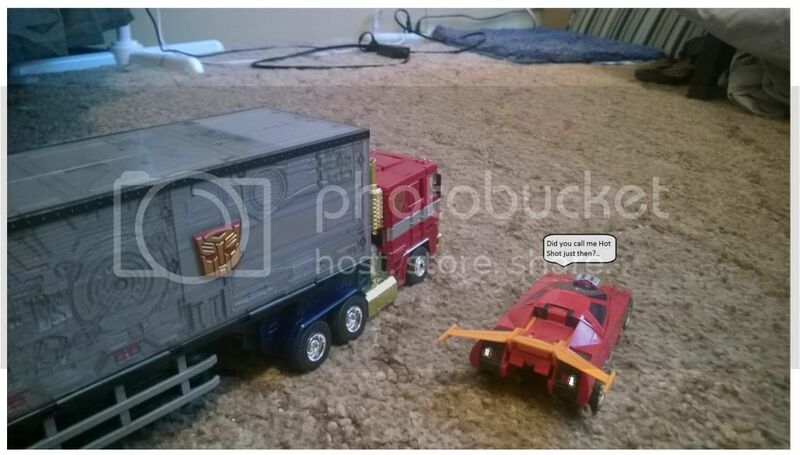 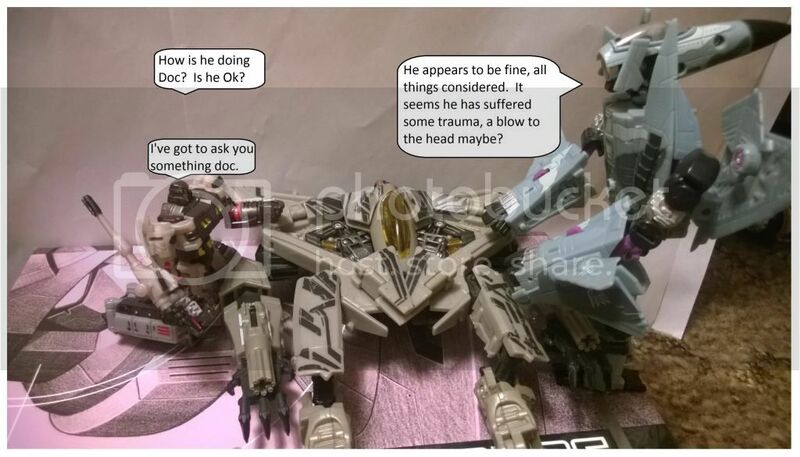 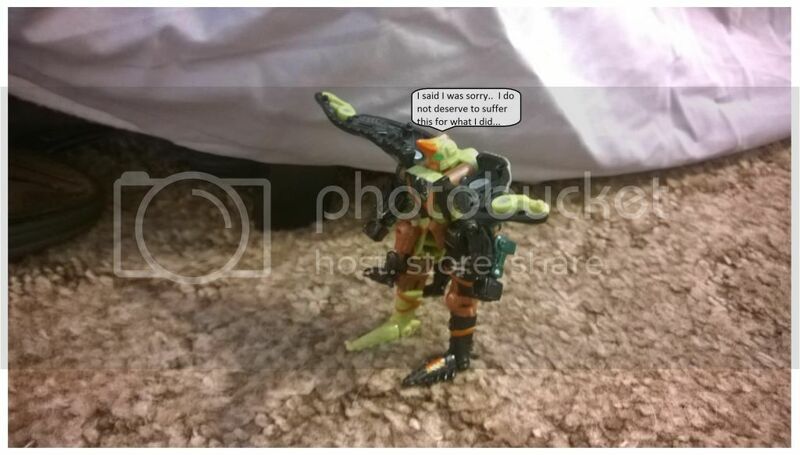 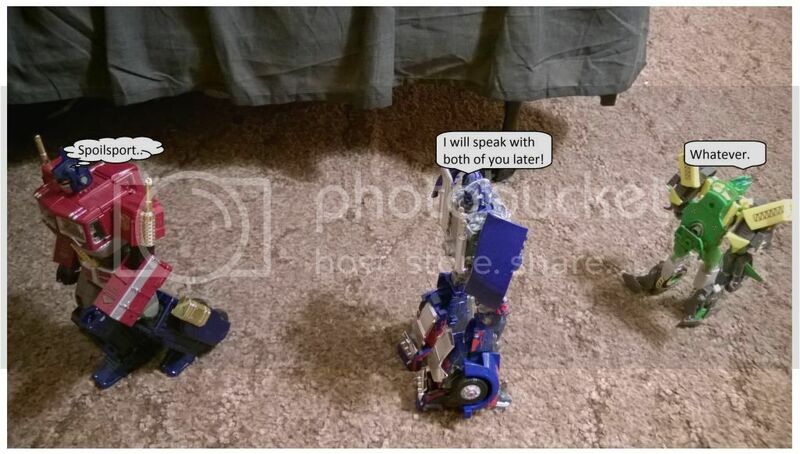 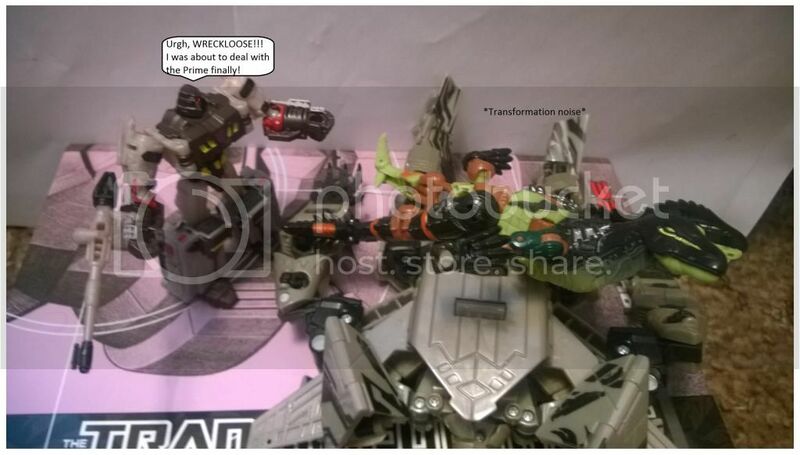 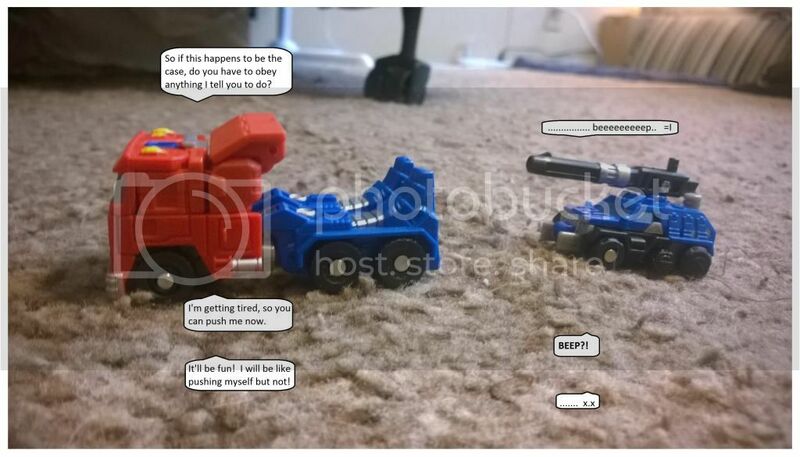 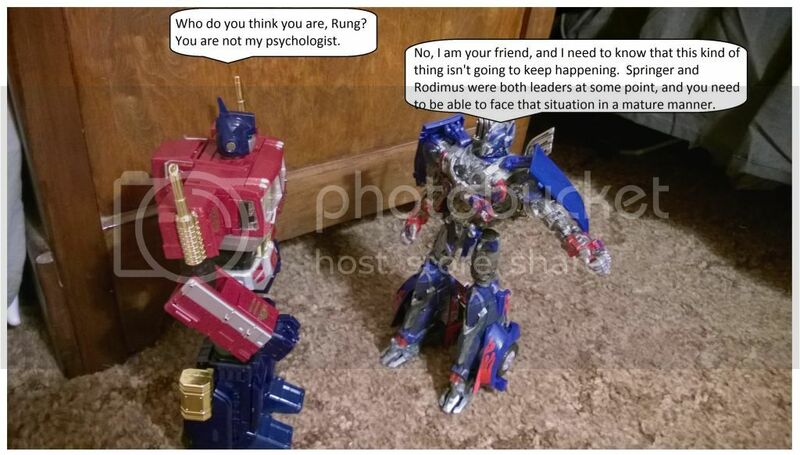 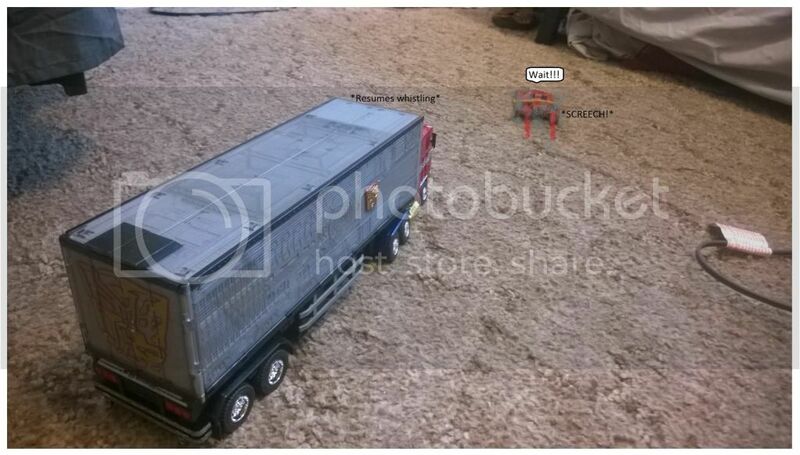 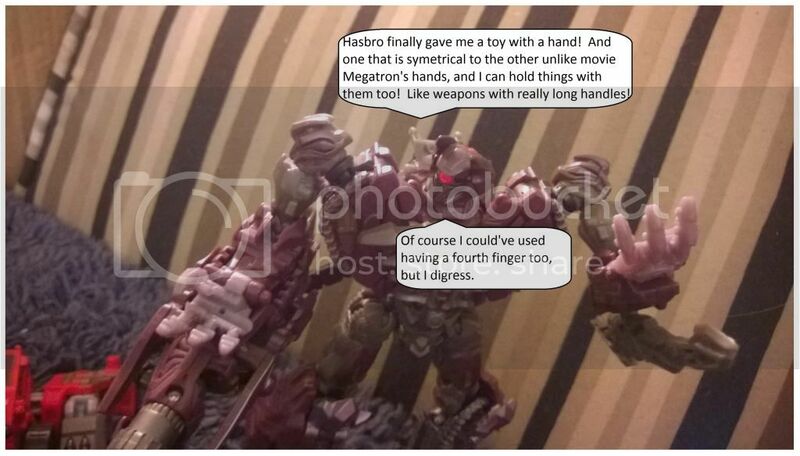 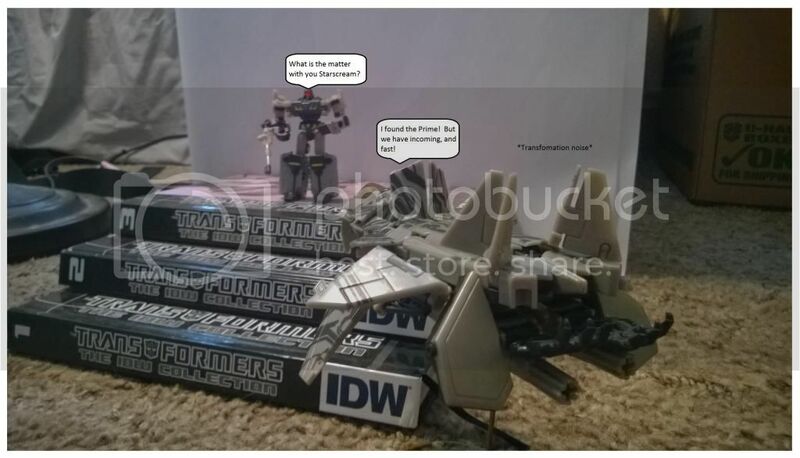 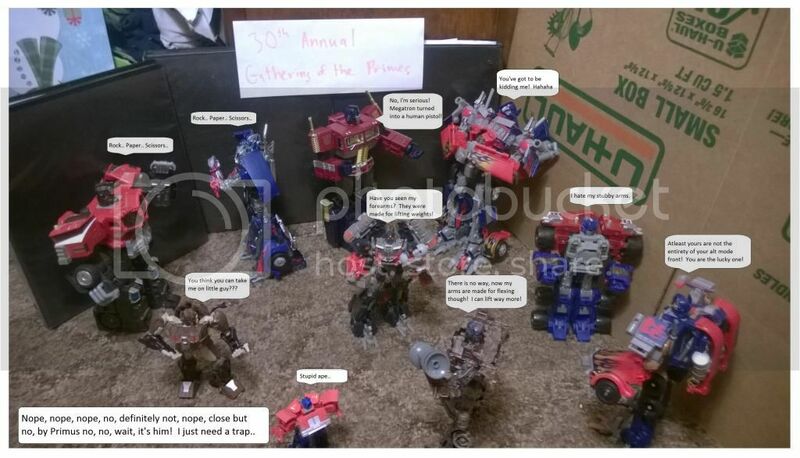 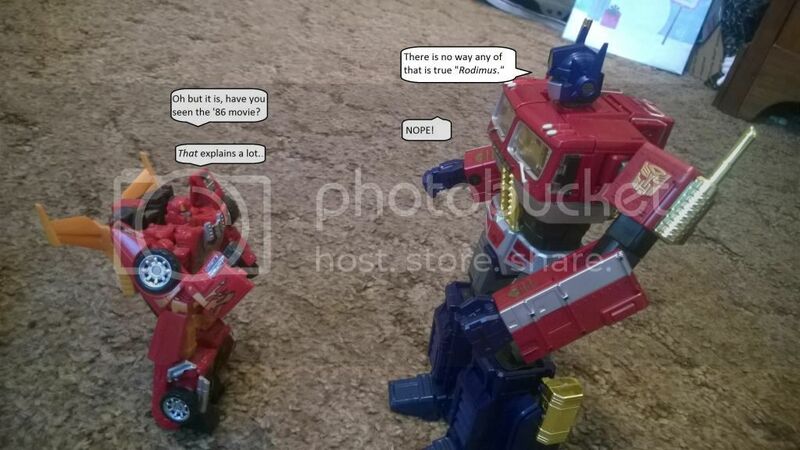 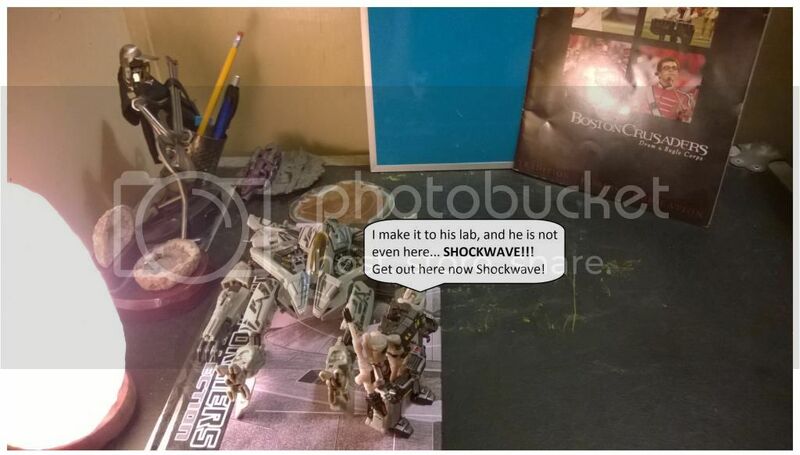 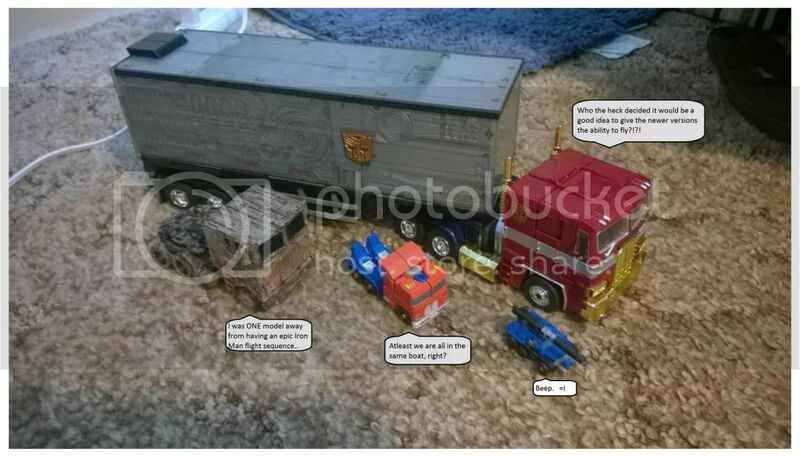 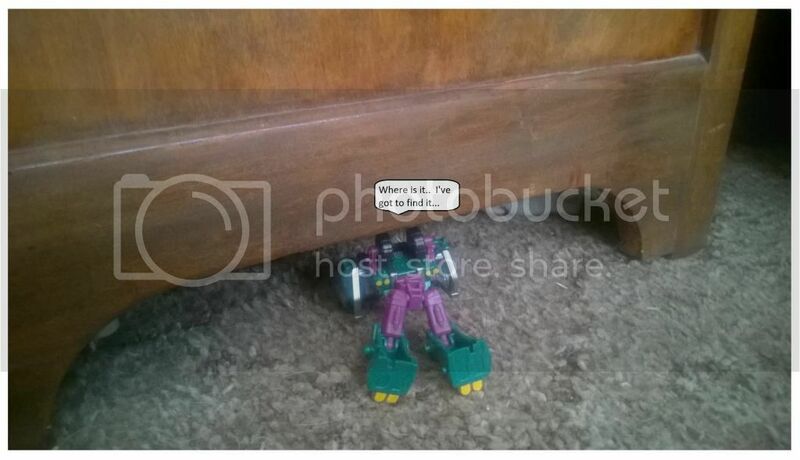 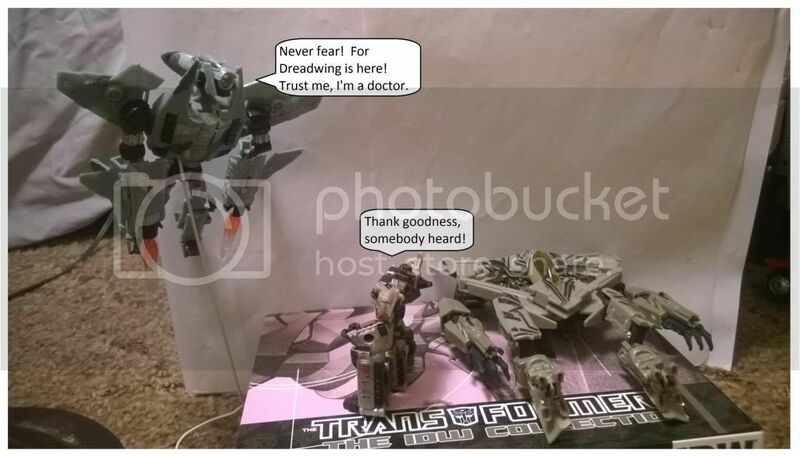 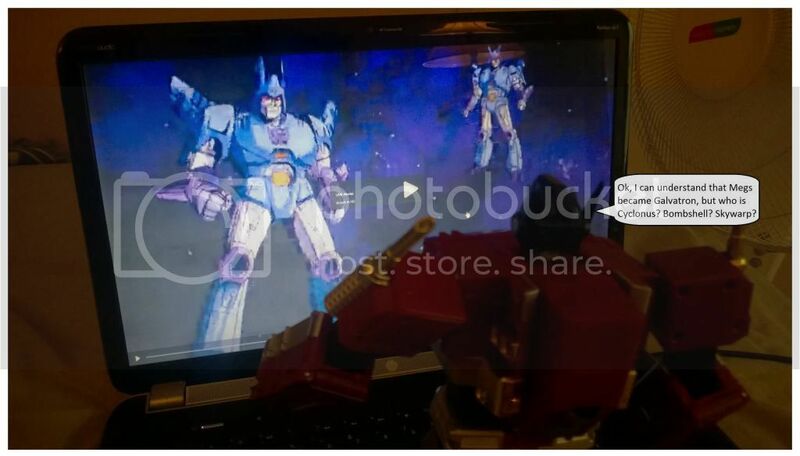 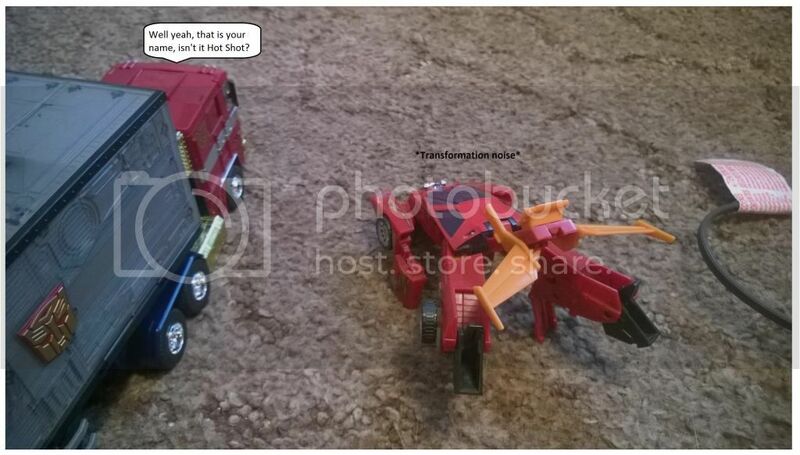 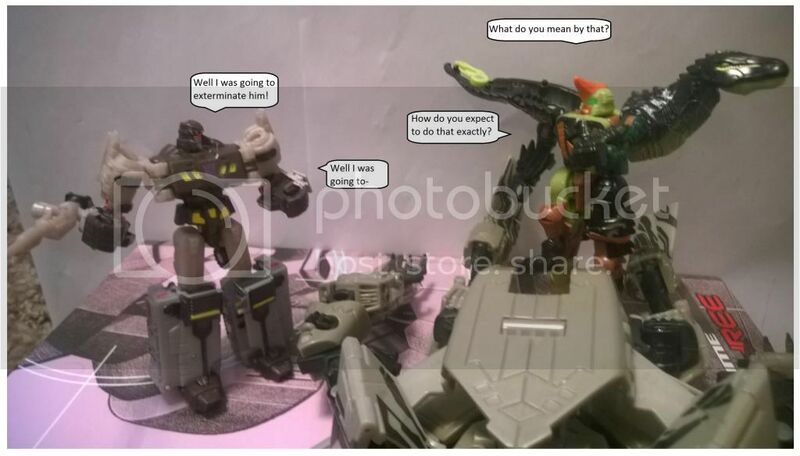 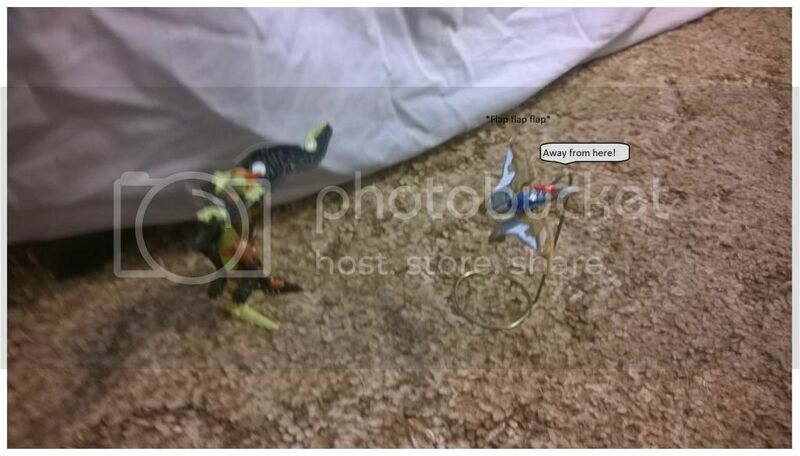 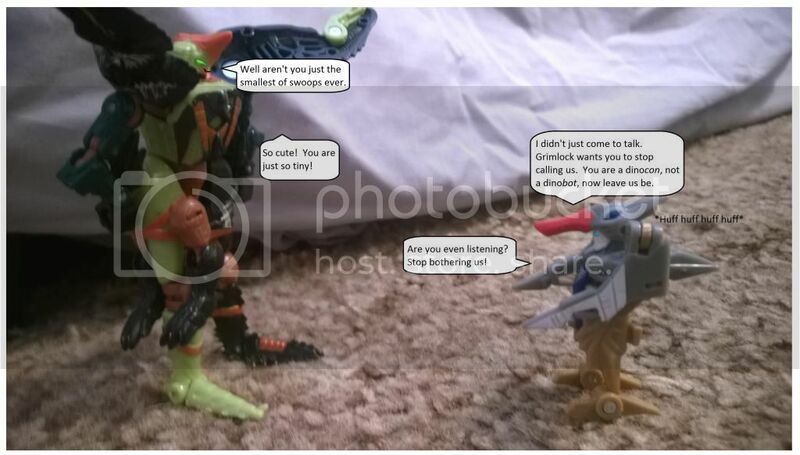 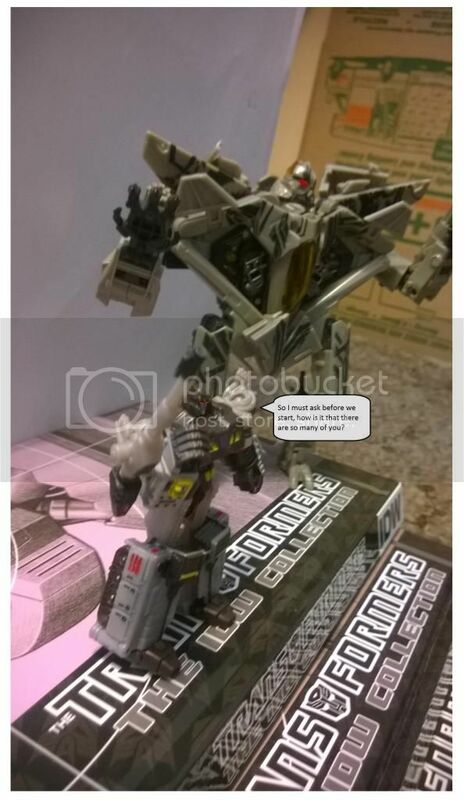 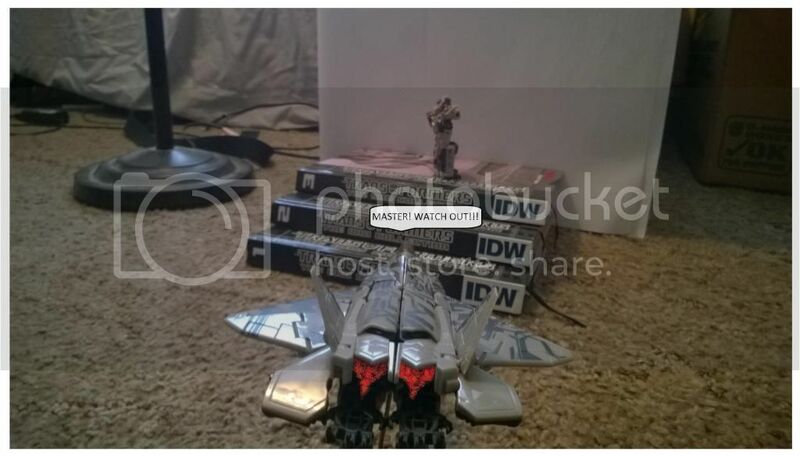 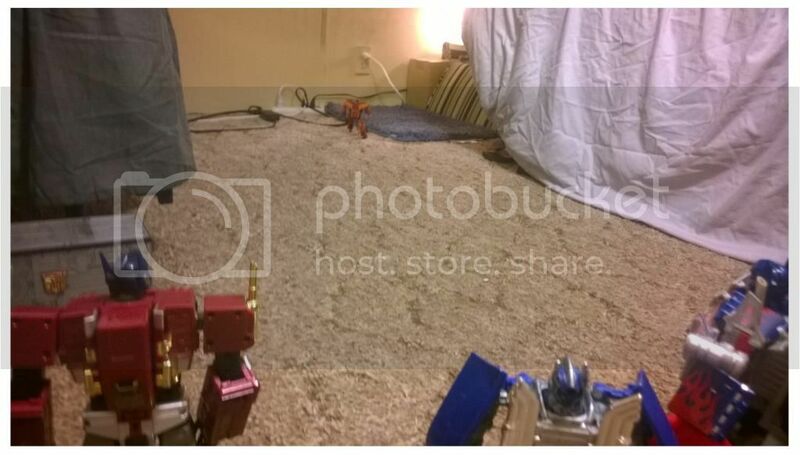 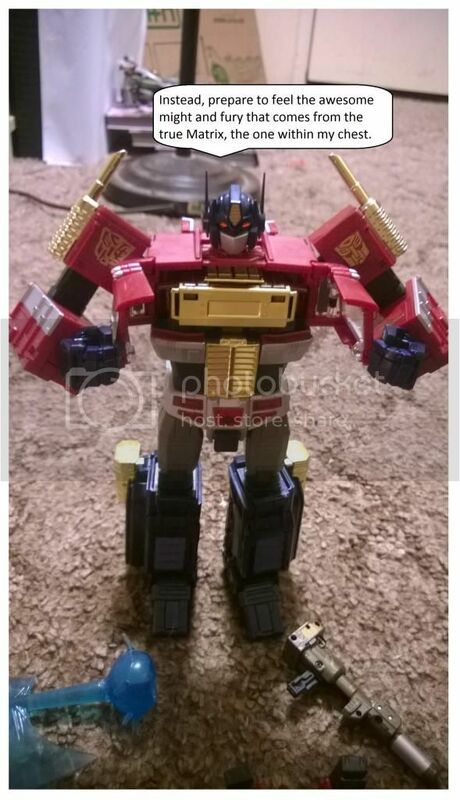 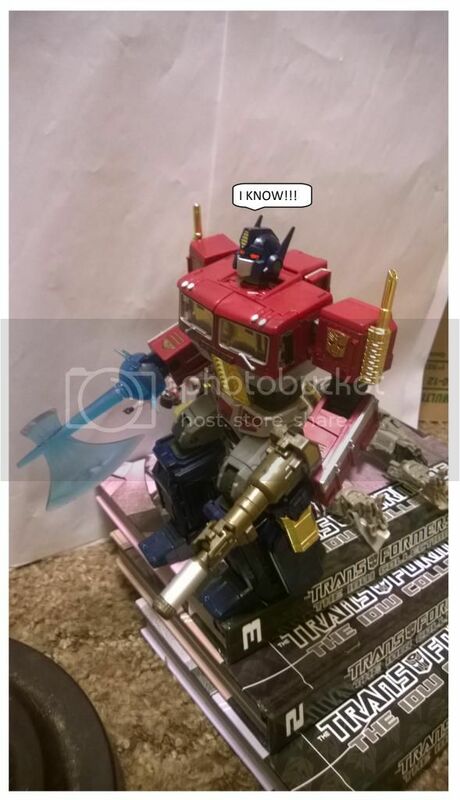 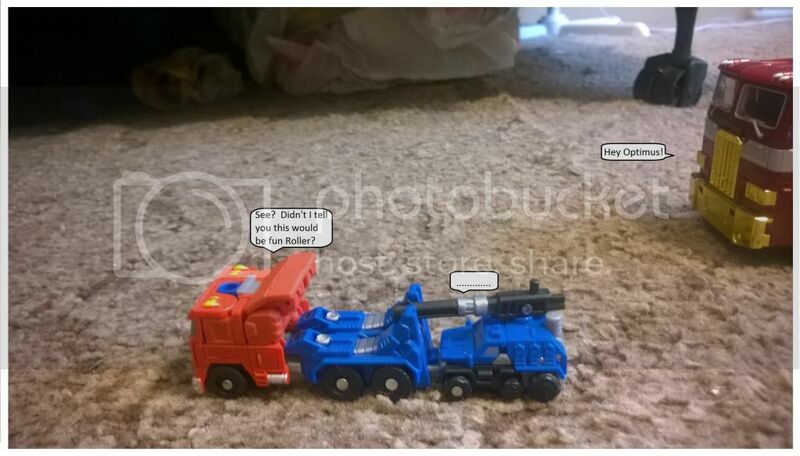 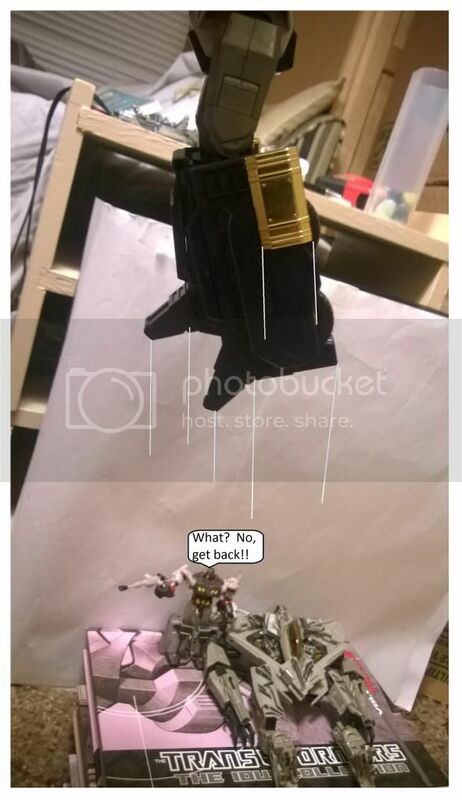 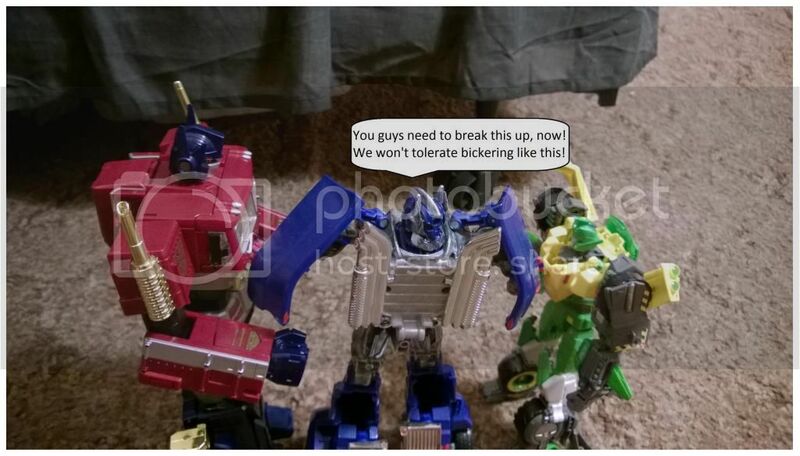 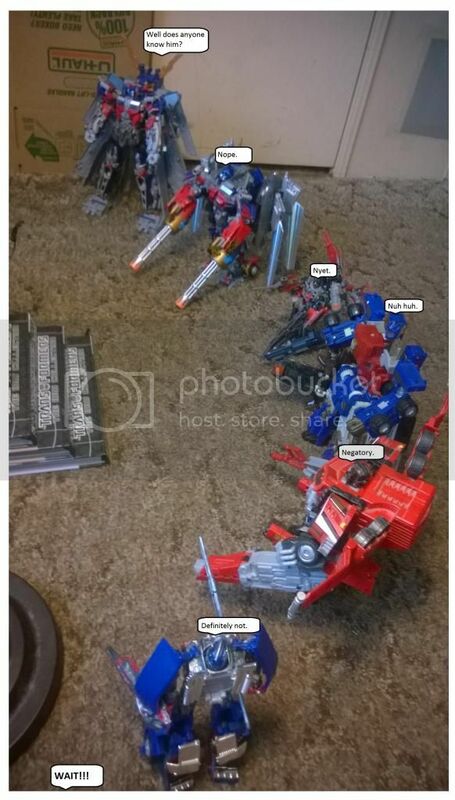 So I have been posting a bunch of my photocomic on TFW, but I felt like sharing it with this site as well since both are major sources of news for me. 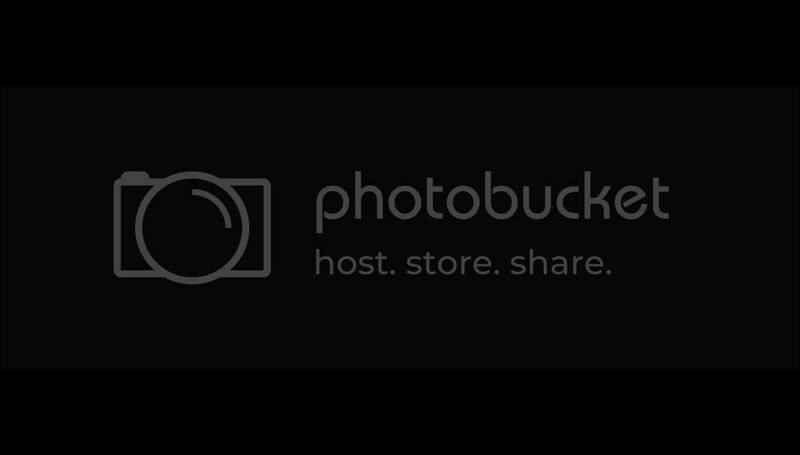 I just started this about 2 and a half weeks ago, but I've been working to build into something big. 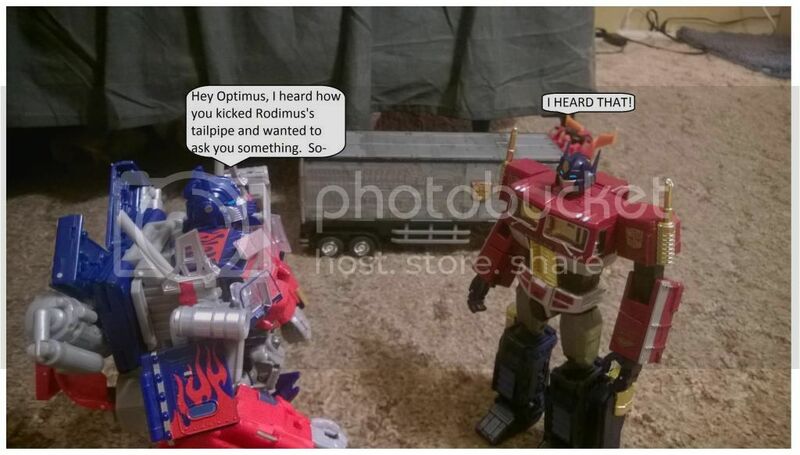 This was my first outing in photocomics, so it may take some getting into, but I have a bunch of them already, so feel free to go through them. 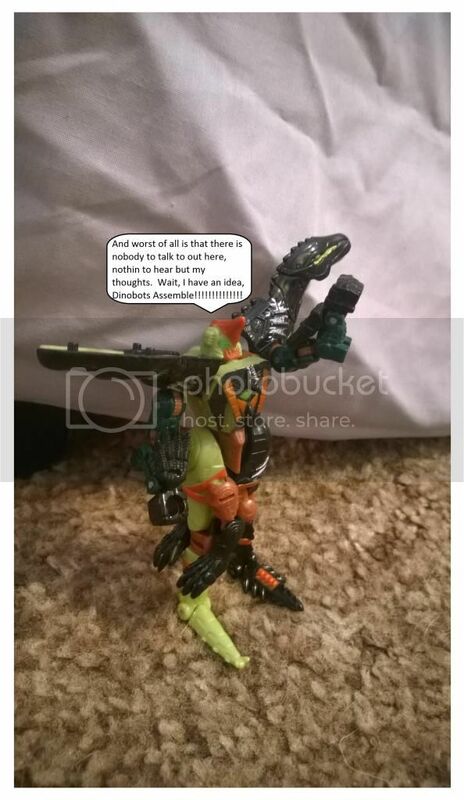 EDIT: I have gone in and divided each comic into separate posts so that it's easier to keep track of. 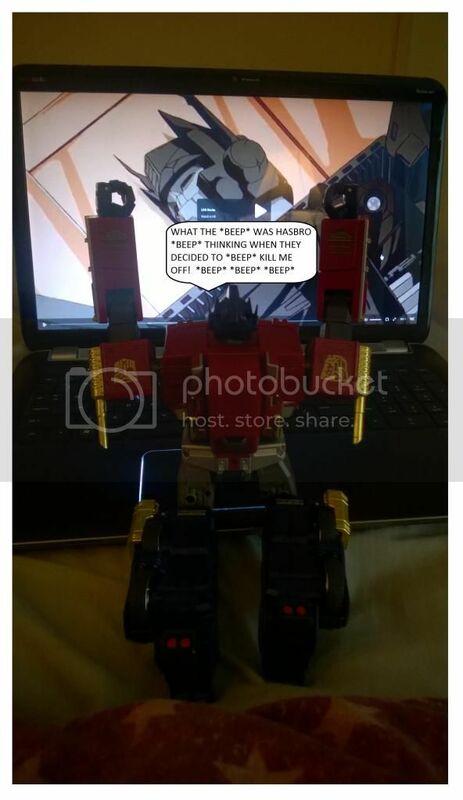 Anyways, without further ado, here we go. 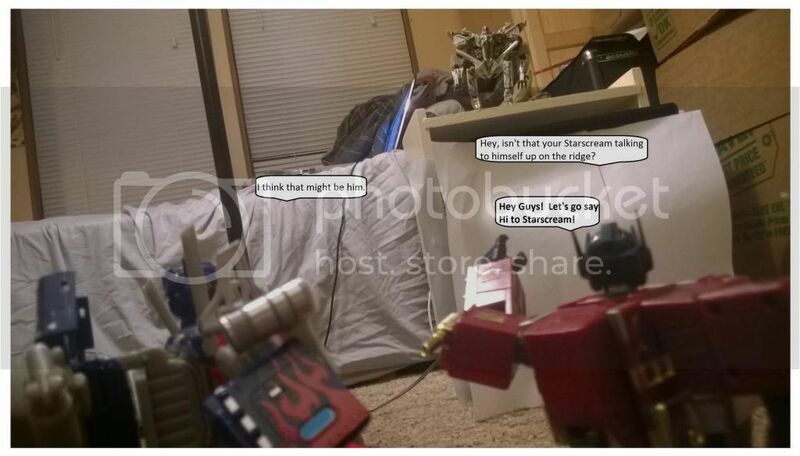 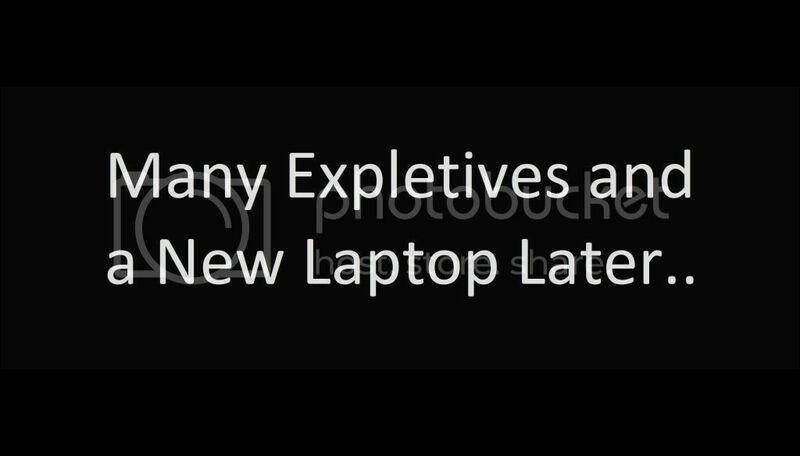 Last edited by kyle1214 on Sat Aug 30, 2014 1:22 pm, edited 2 times in total. 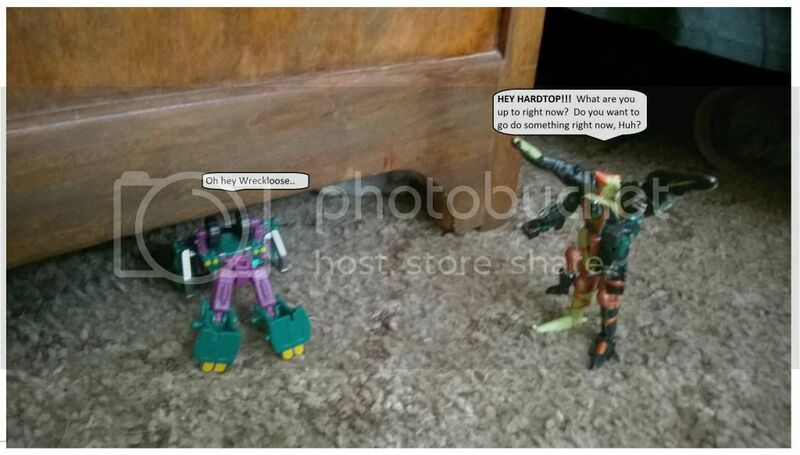 Last edited by kyle1214 on Sat Aug 30, 2014 1:23 pm, edited 1 time in total. 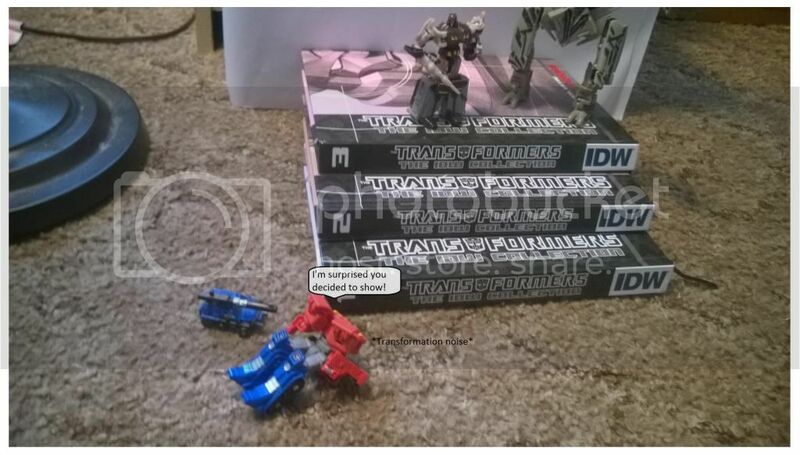 Thanks mate! 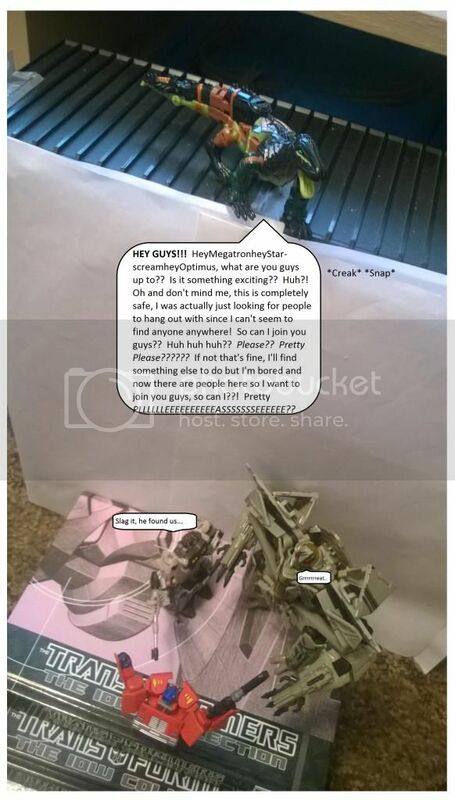 I have only been doing this for a bit, but I wanted to put this out there and get some feedback. 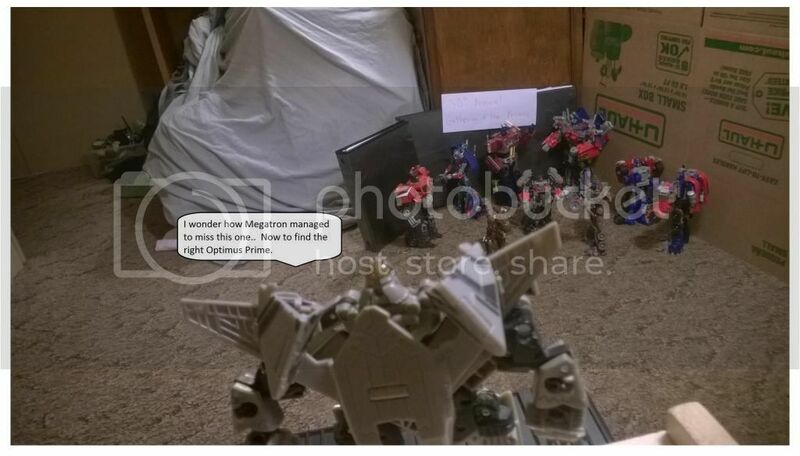 Of course, this is going to be a limited run for now, since I am disappearing in a matter of a couple of weeks for Basic Training, so I wanted to crank out as much of a story as possible before then. 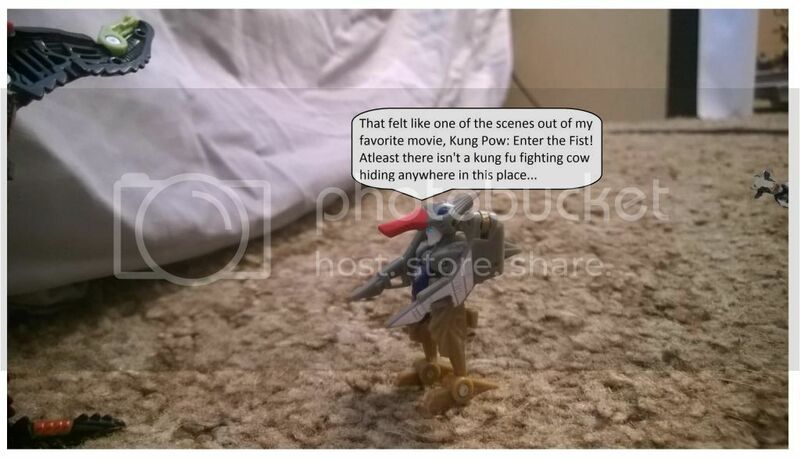 Thanks for the comment though! 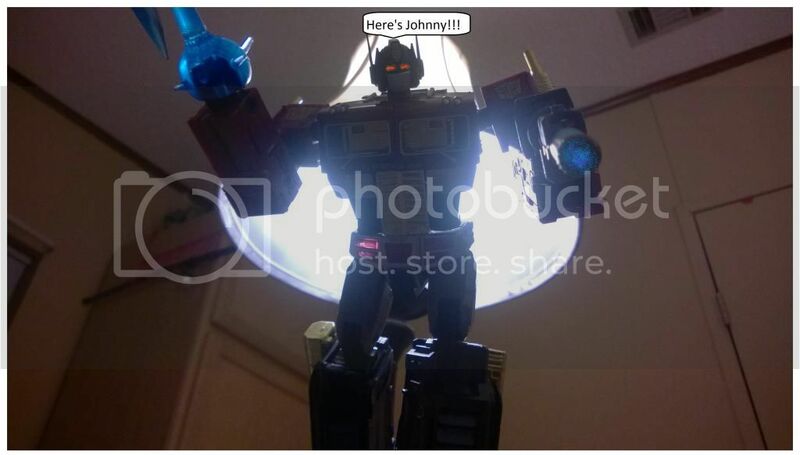 I also went about doing spotlights on different characters in my collection that would be introduced into the story line. 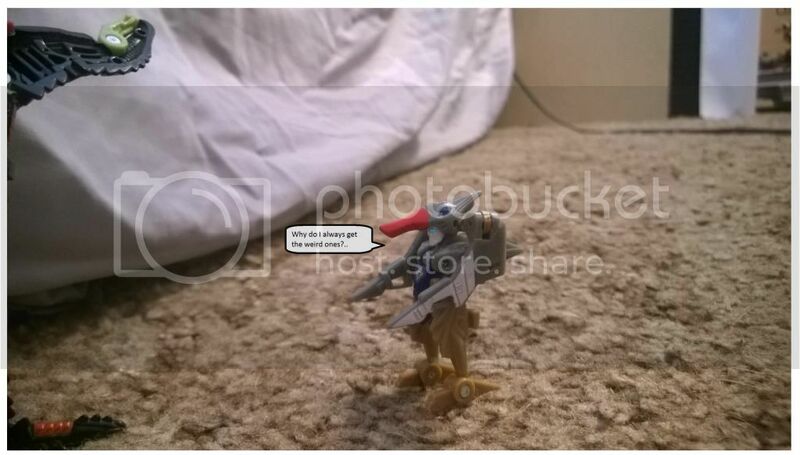 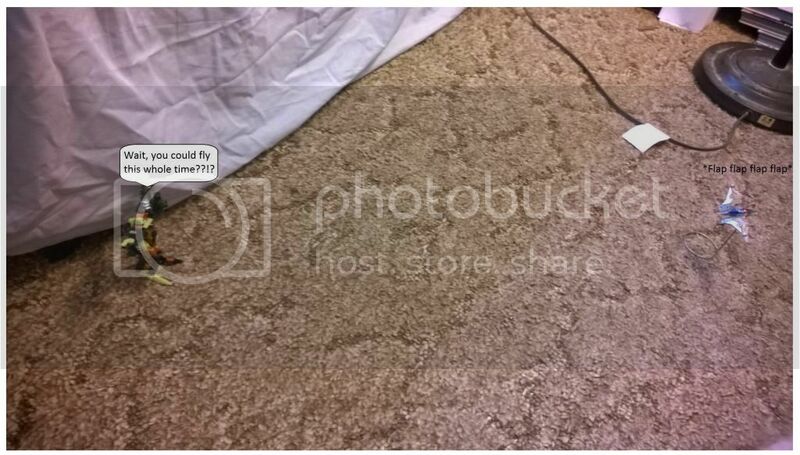 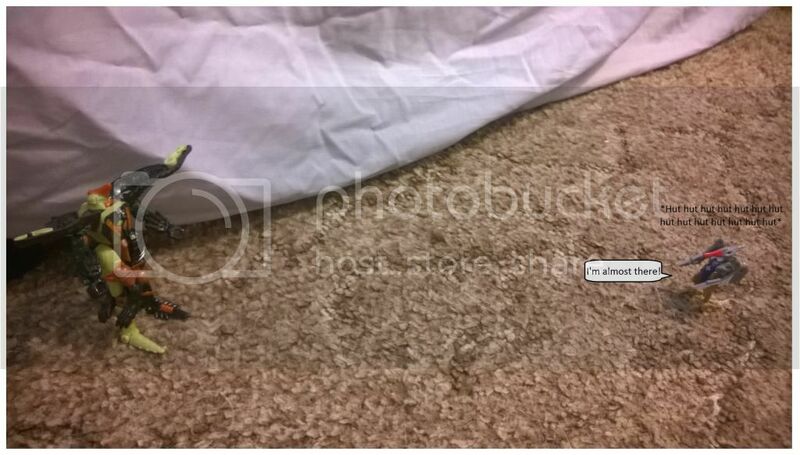 Last edited by kyle1214 on Sat Aug 30, 2014 1:49 pm, edited 2 times in total. 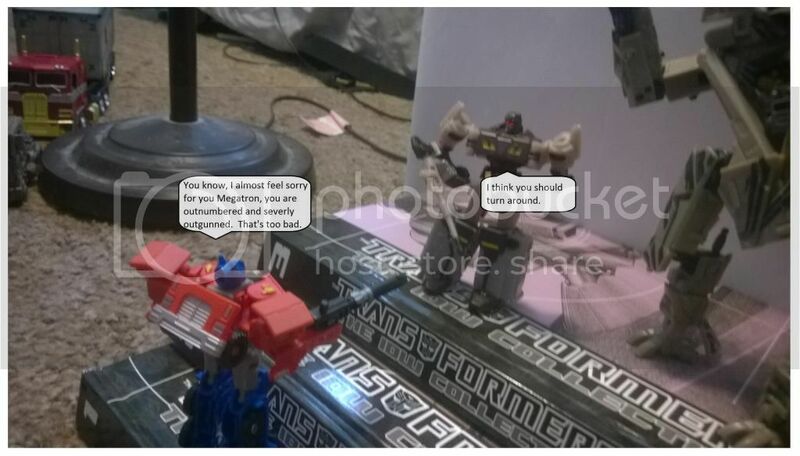 Last edited by kyle1214 on Sat Aug 30, 2014 1:25 pm, edited 1 time in total. 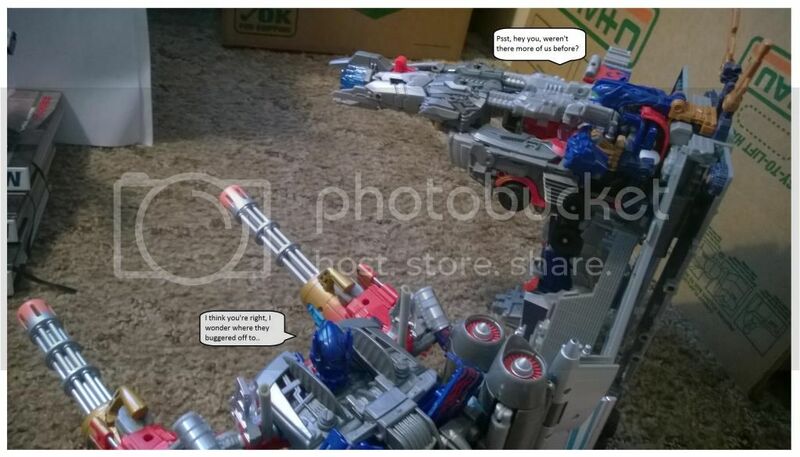 Last edited by kyle1214 on Sat Aug 30, 2014 1:27 pm, edited 1 time in total. 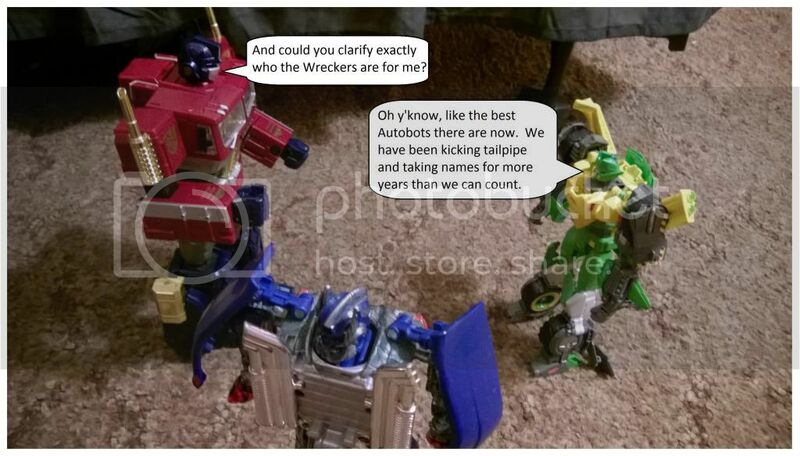 Last edited by kyle1214 on Sat Aug 30, 2014 1:30 pm, edited 3 times in total. 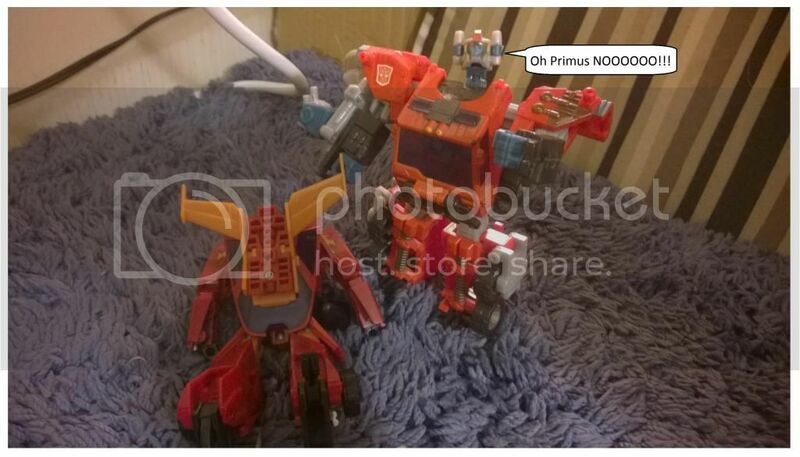 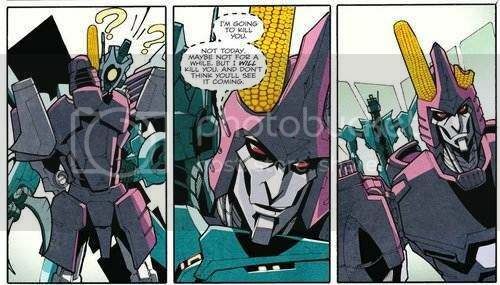 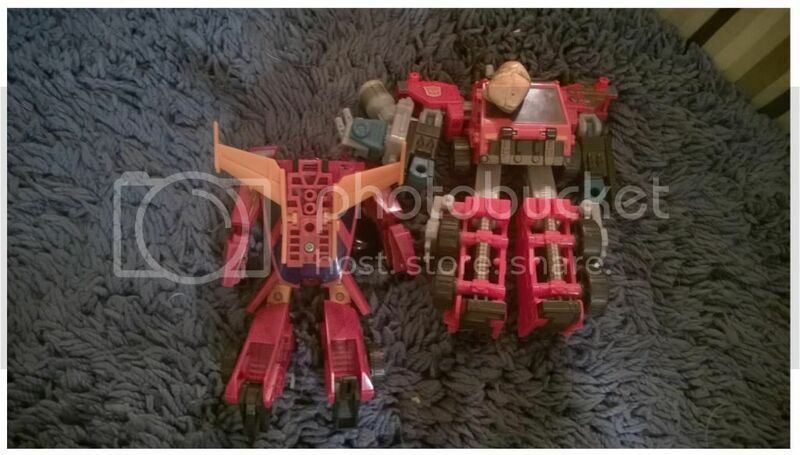 The next story arc I had after That's Just Prime, was Prime Problems. 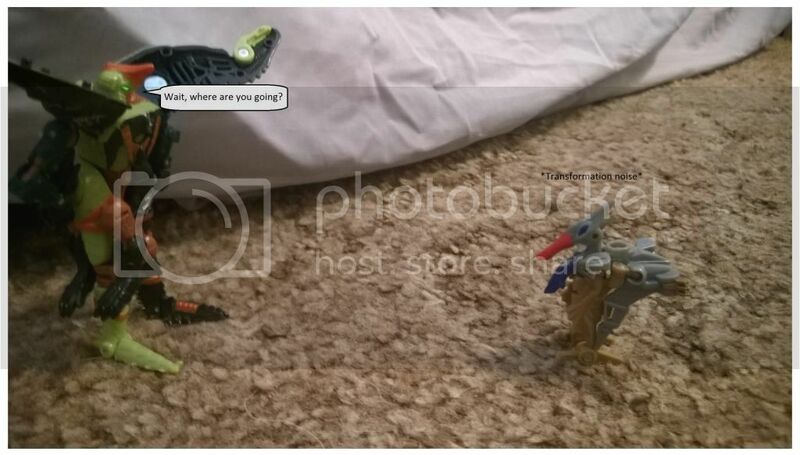 Last edited by kyle1214 on Sat Aug 30, 2014 1:31 pm, edited 1 time in total. 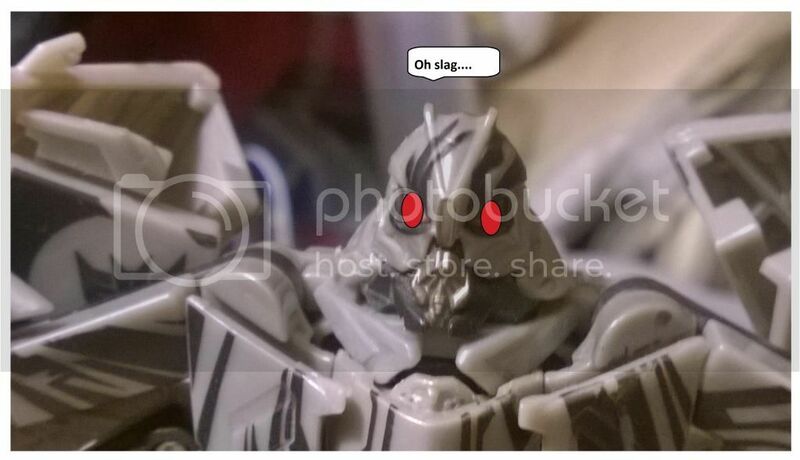 Last edited by kyle1214 on Sat Aug 30, 2014 1:32 pm, edited 1 time in total. 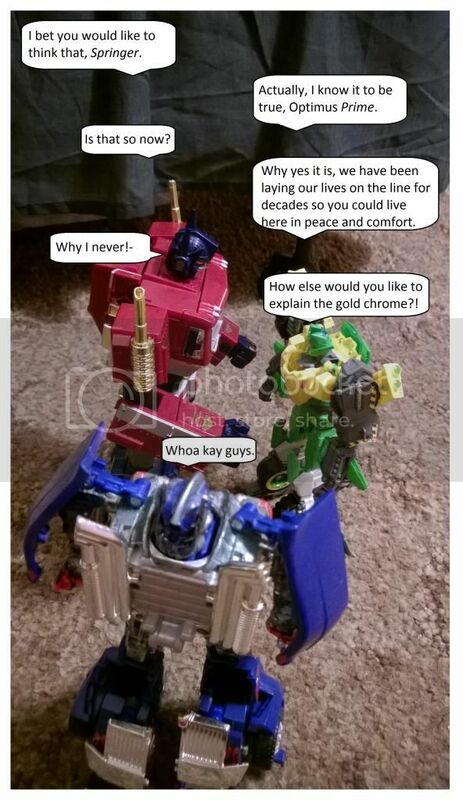 This next one's kinda long, but it is worth it haha.